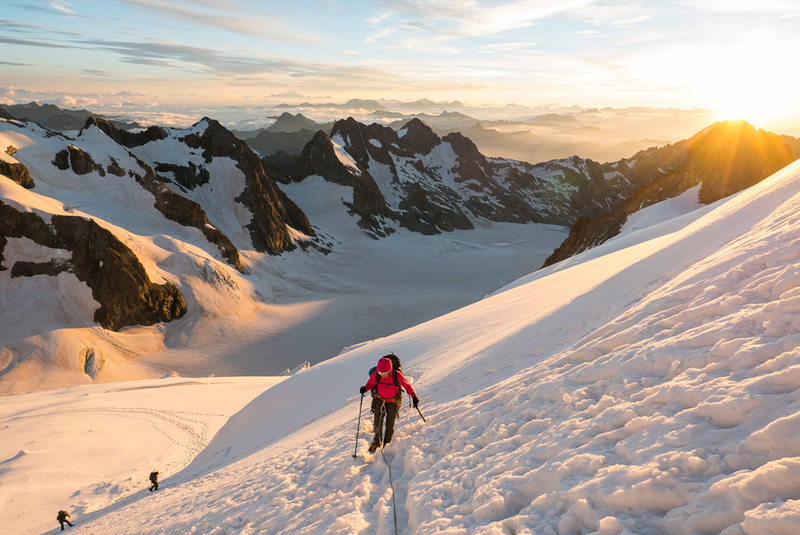 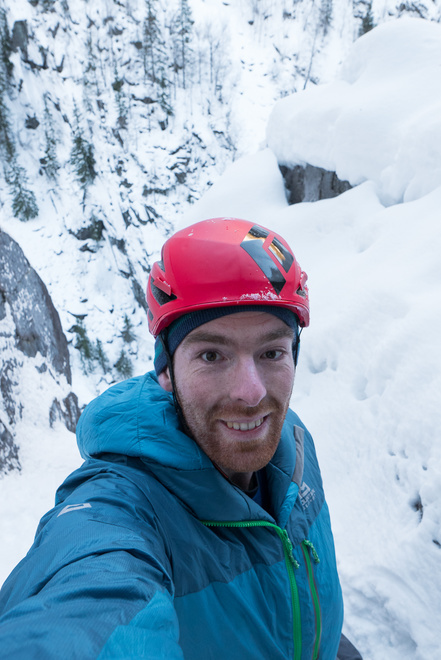 It’s safe to say that 2016 was a very mixed year, with the highlights being an excellent start to the year with lots of successful winter climbing trips and a winter sun rock climbing trip. 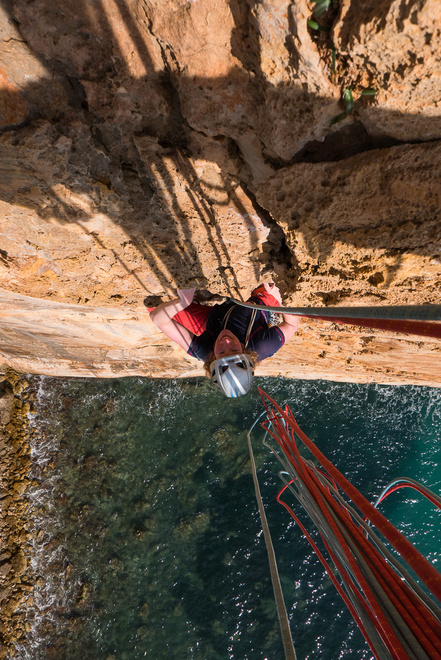 The summer rock climbing never seemed to start properly for me this year, before I injured myself and had to take an enforced break. 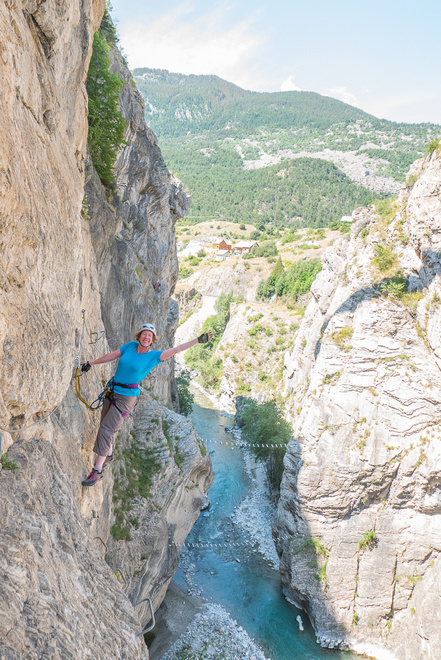 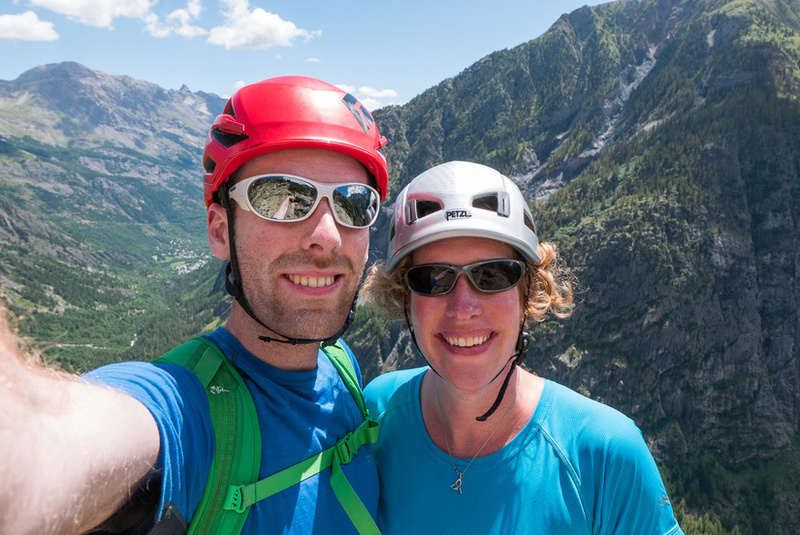 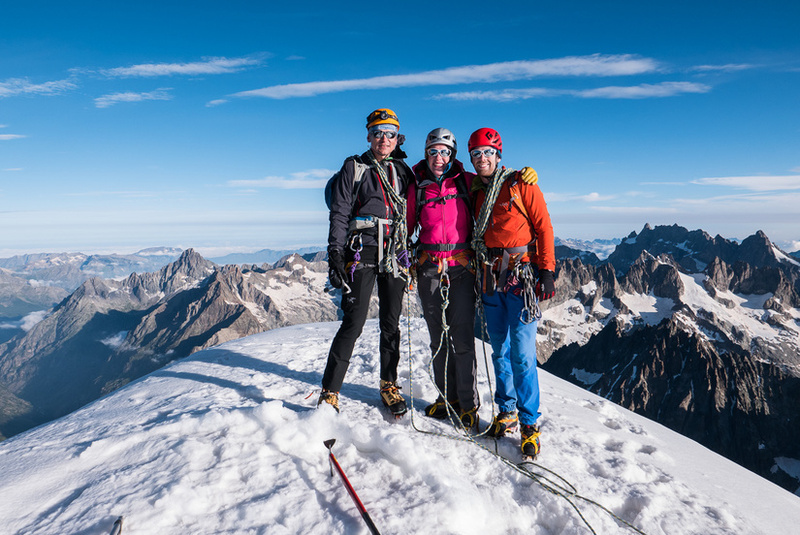 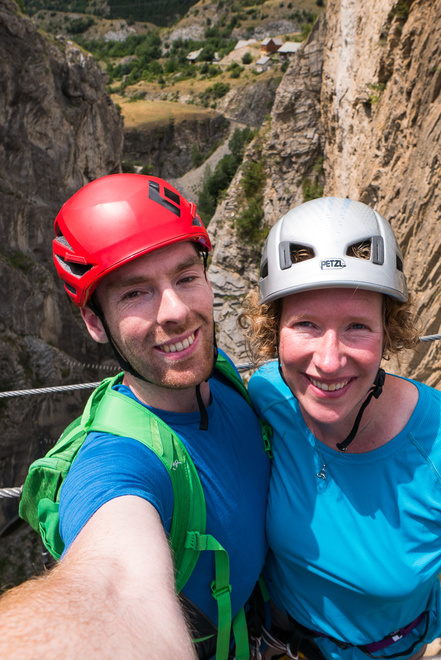 My alps trips this year was very successful and I had an excellent two weeks in the Ecrins with Becky where we climbed a few peaks and enjoyed lots of sunny bolted multi pitch climbing. 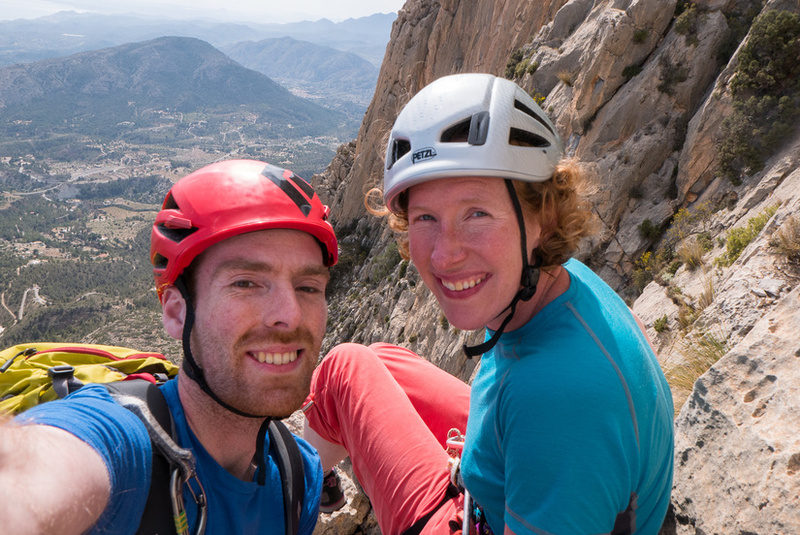 Unfortunately shortly after the Alps I received the tragic news that one of my close friends and regular climbing partners died in a climbing accident in the Avon gorge. 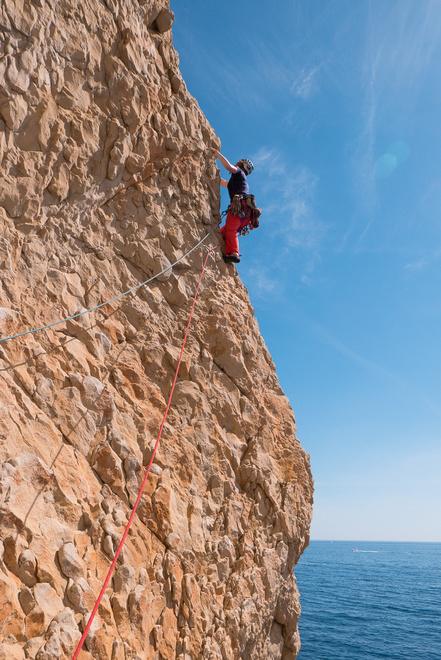 Following this I was fairly disinterested with climbing for a while which resulted in a relaxed autumn and a chilled out weekend walking around on Lundy. 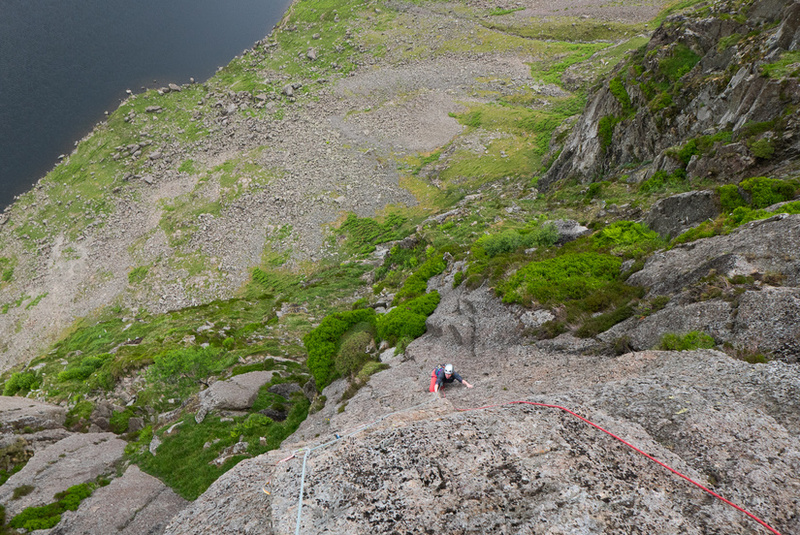 As I was starting to force myself to think about climbing again I headed to south Wales for some sport climbing, and had an enjoyable day out until injured my finger & forearm which put me out of action until Christmas. 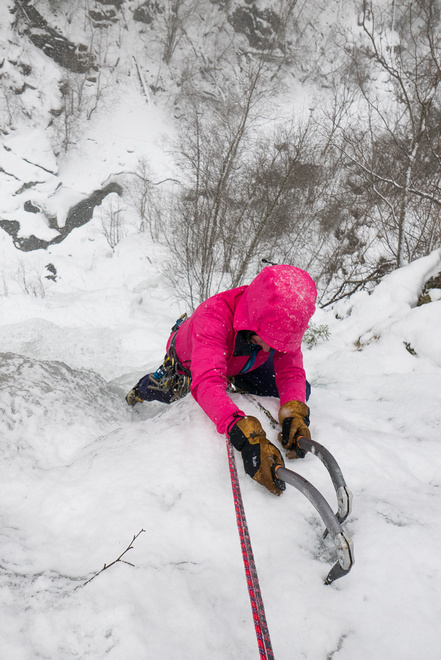 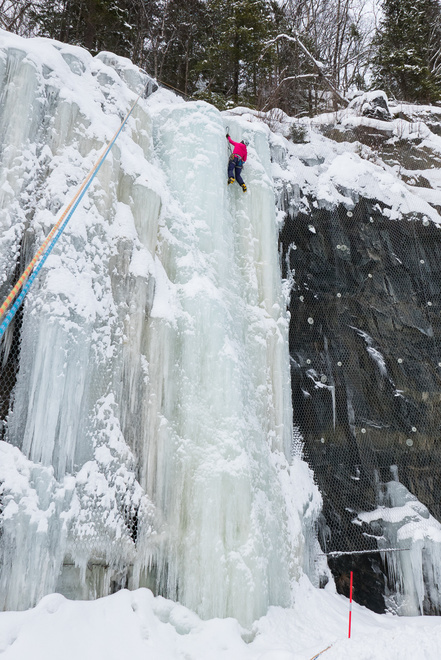 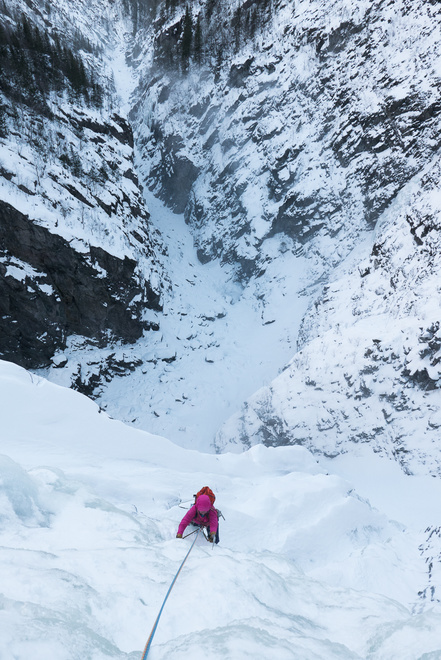 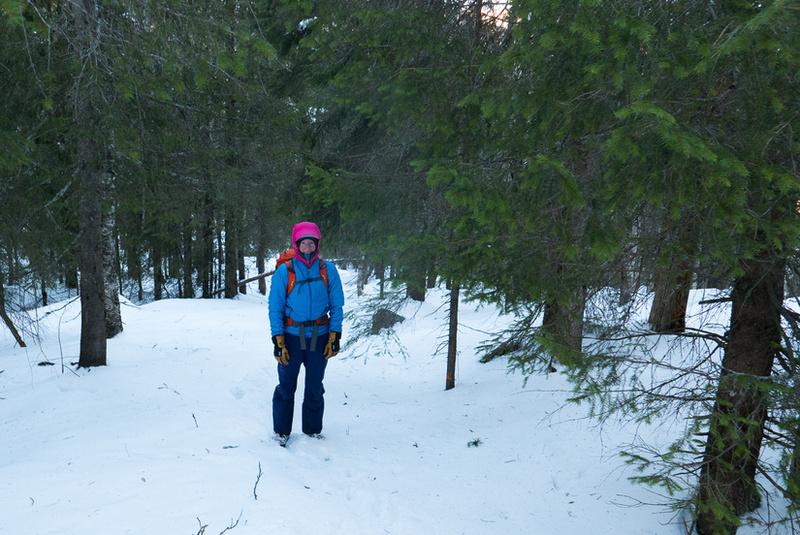 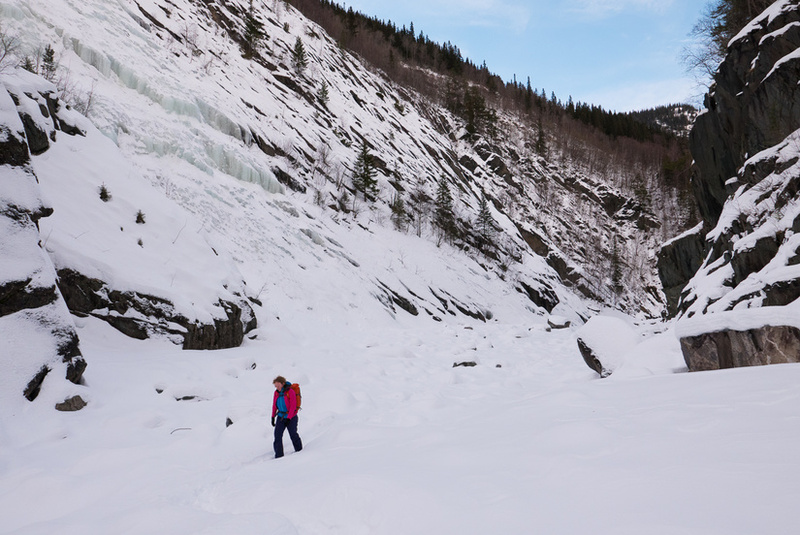 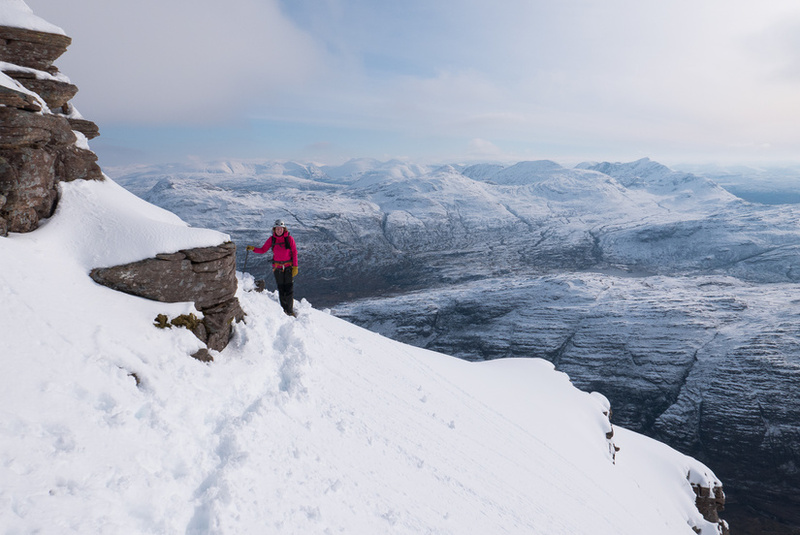 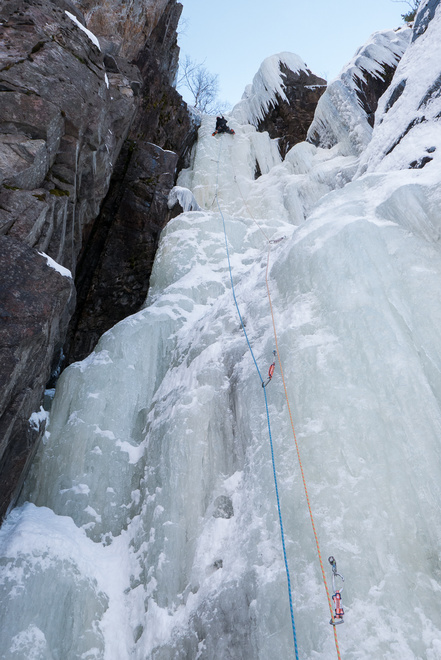 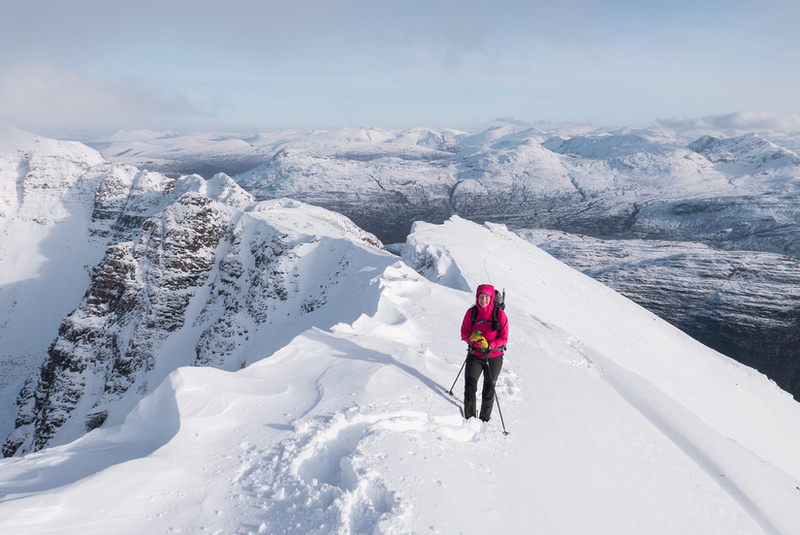 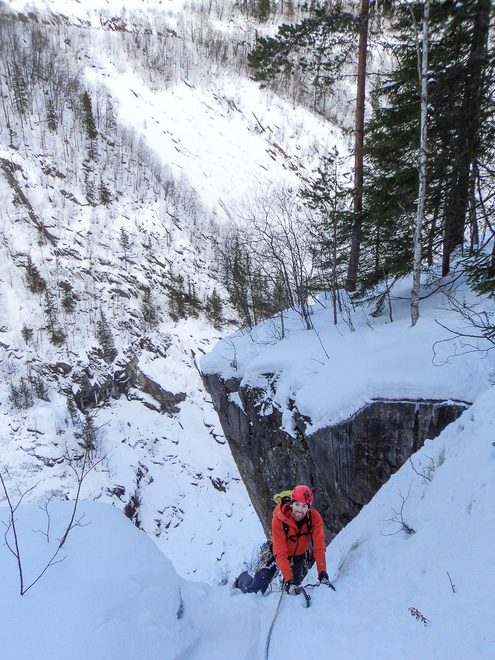 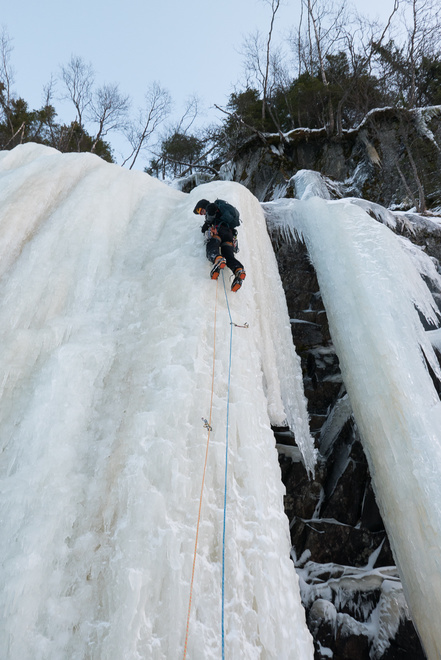 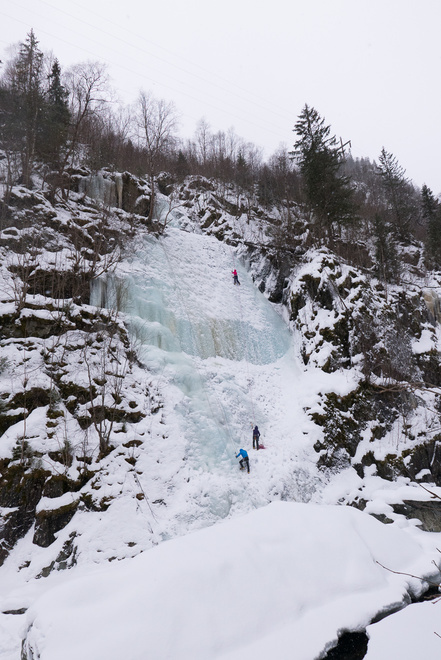 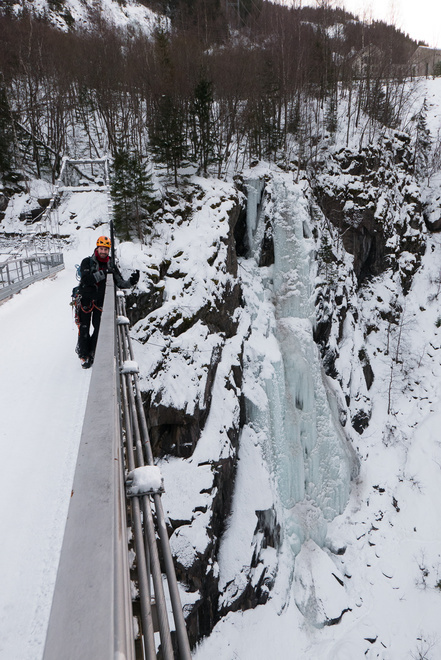 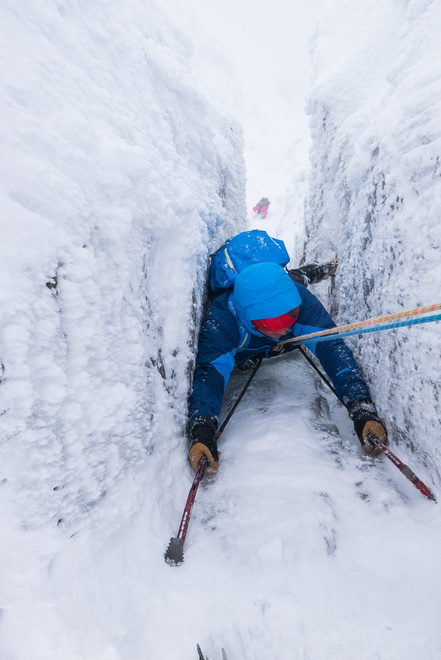 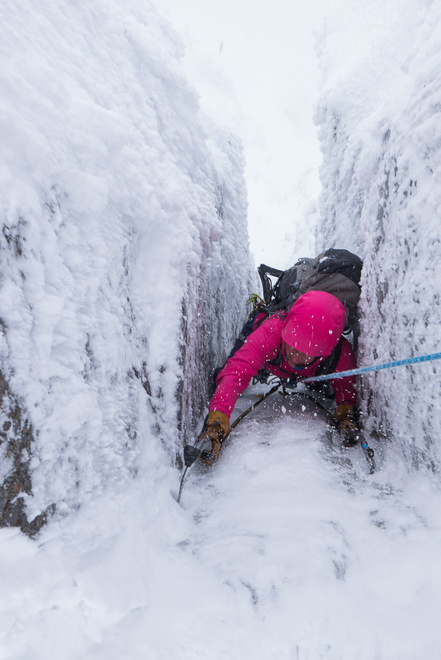 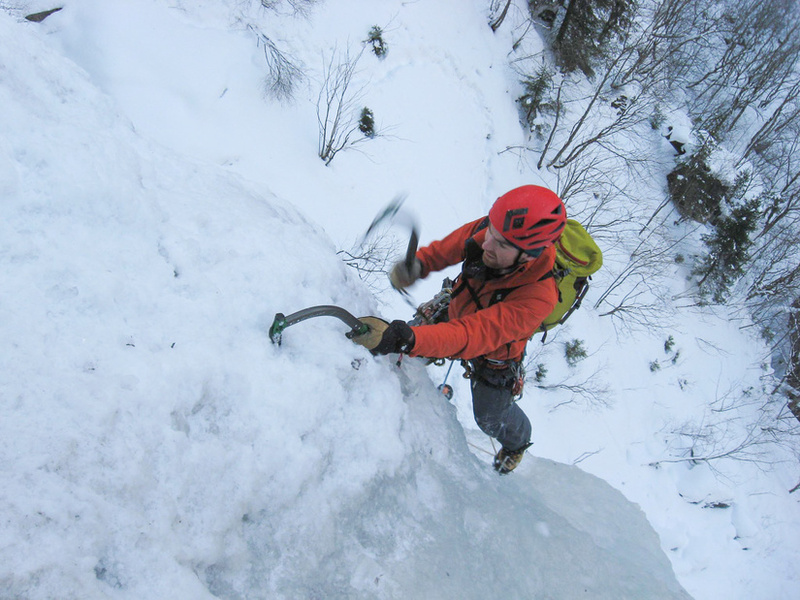 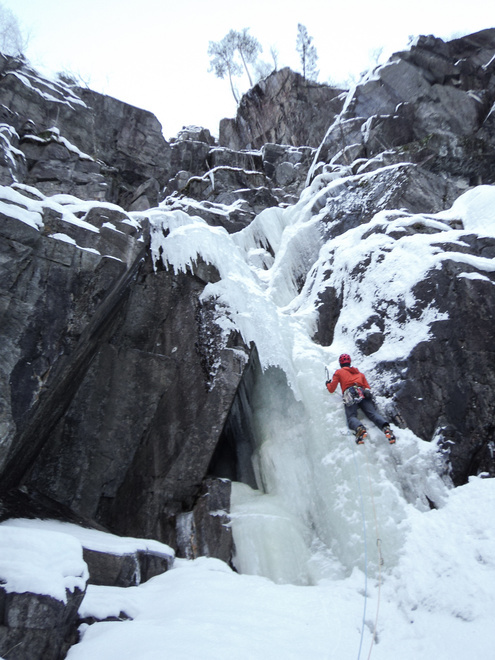 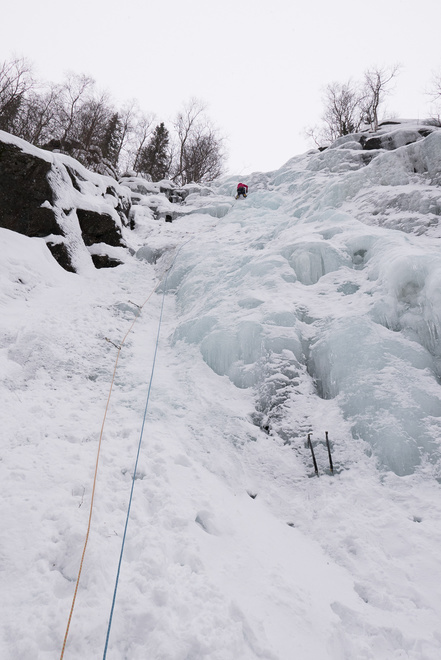 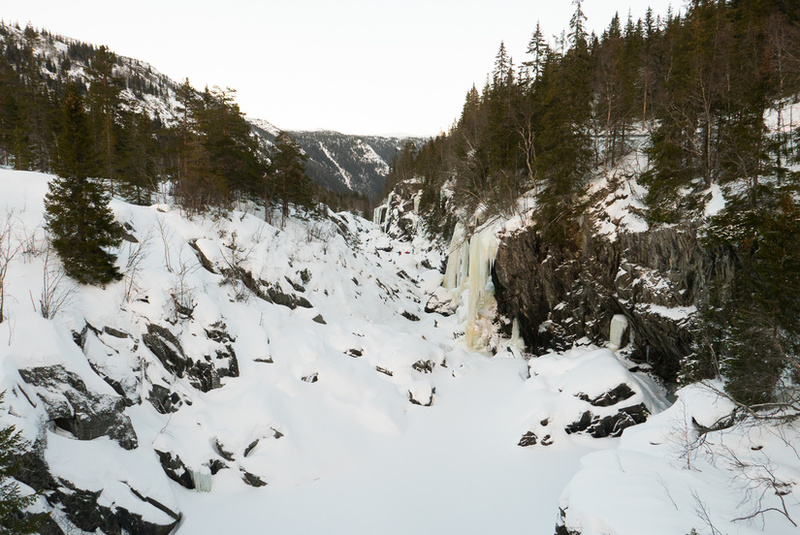 This year I headed out to Rjukan in Norway for the first time with the Avon Mountaineering Club. 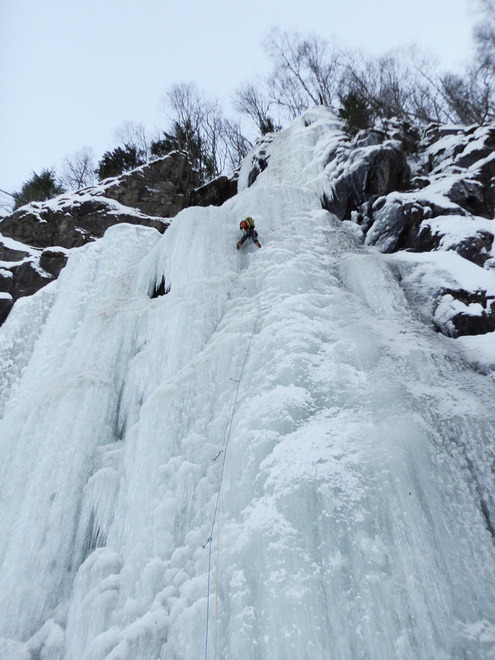 We had an excellent week with good ice conditions, mostly good weather and temperatures which weren’t too cold. 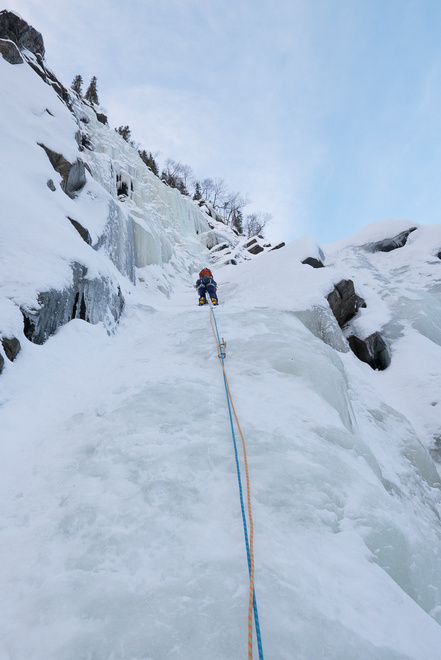 It was great to get a significant amount of time climbing ice, I think on the first day I climbed more ice than my entire previous winter season combined. 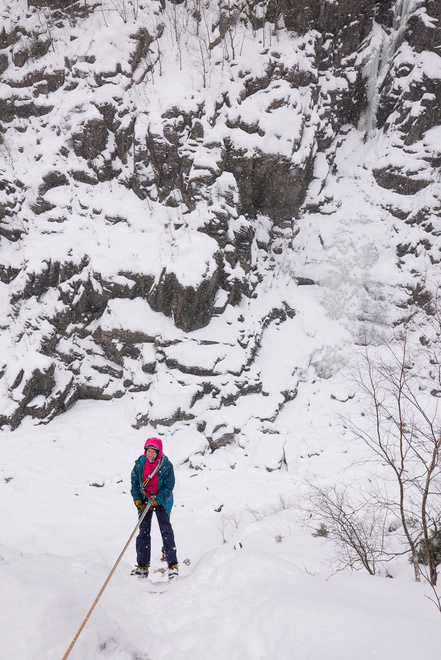 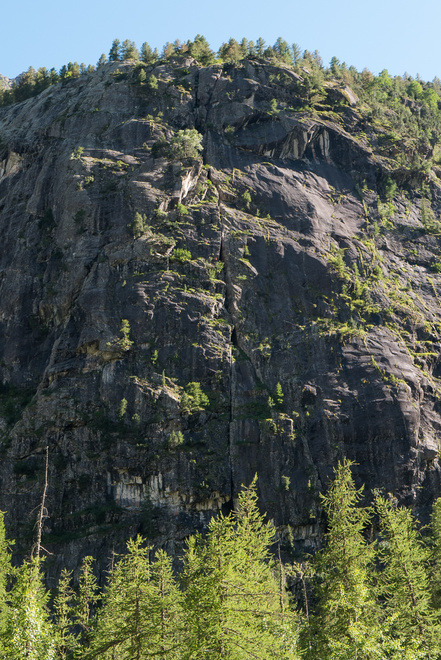 The highlights were Sabotørfossen and Trappfoss in the upper gorge which are adventurous multi pitch routes which a big mountain feel. 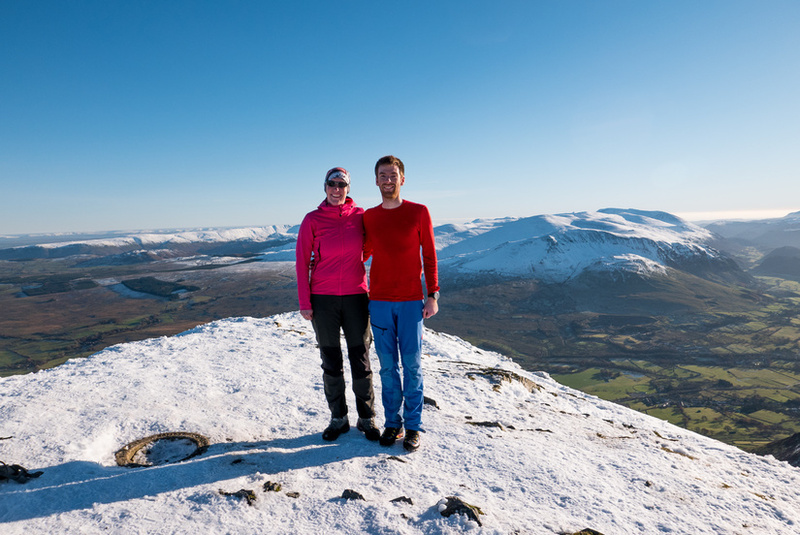 Shortly after we got back from Norway we headed up to Scotland for 10 days. 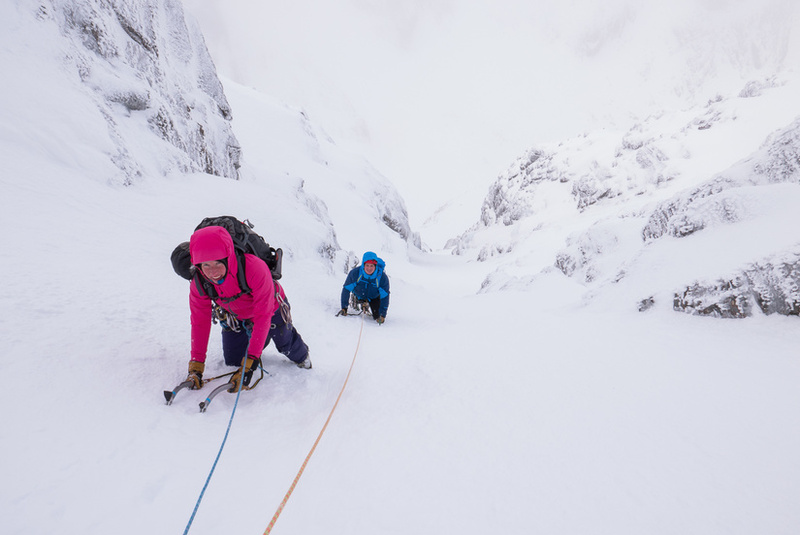 For the first week Becky and I were up there on our own, and then we joined the Avon Mountaineering Club for our annual Scottish winter trip. 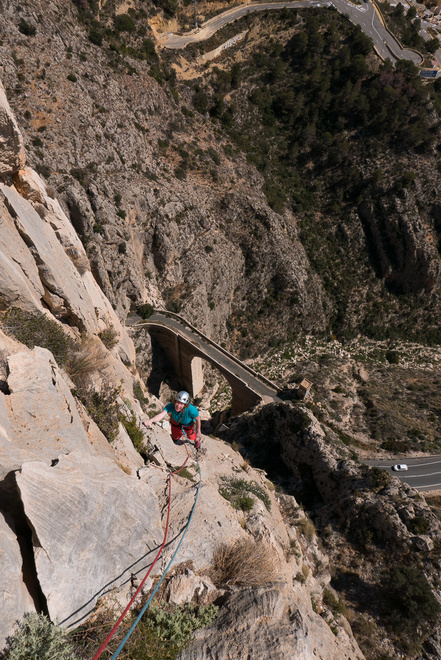 For the majority of the trip we were blessed with good weather and good climbing conditions, we even got sunburnt at the start of the trip. 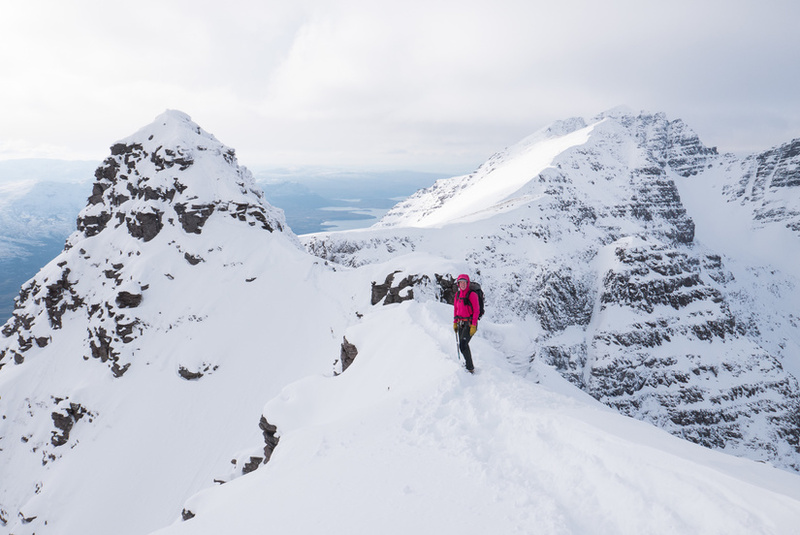 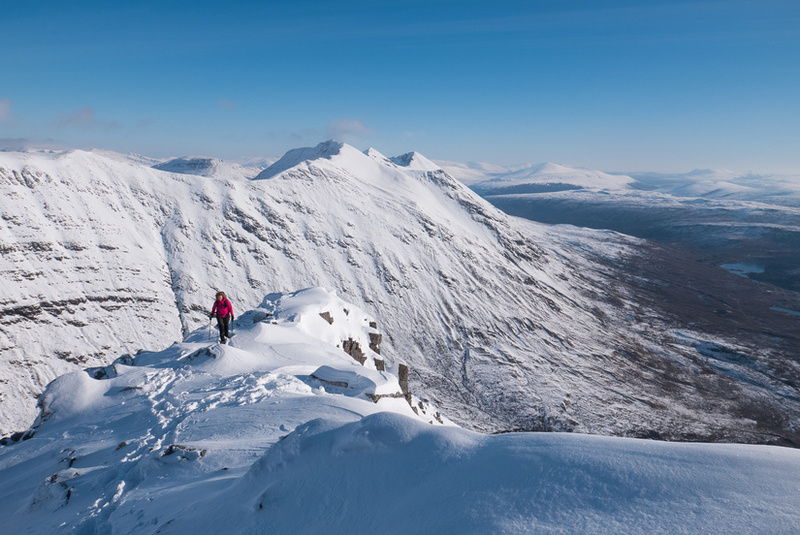 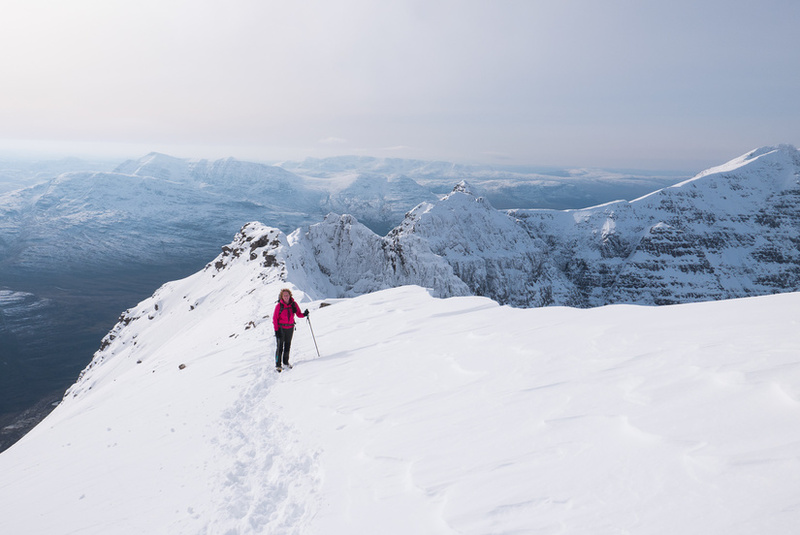 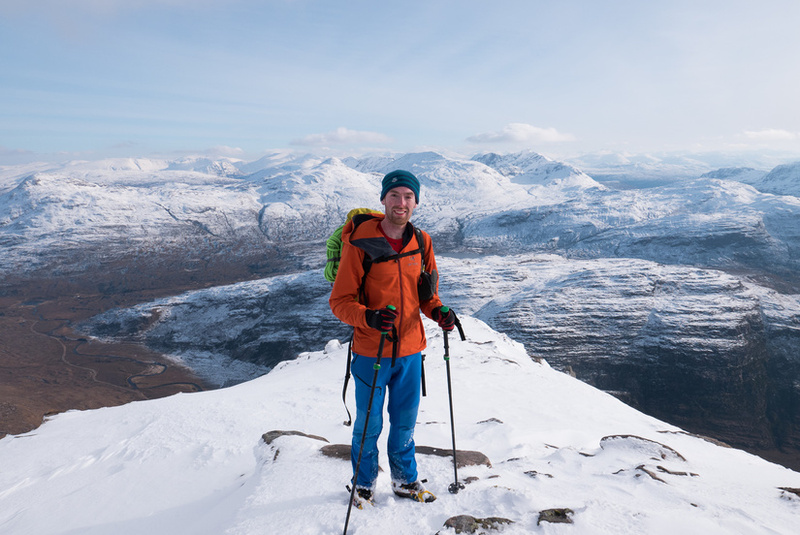 The highlights were Liathach traverse in beautiful alpine conditions, Fingers Ridge and Glovers Chimney. 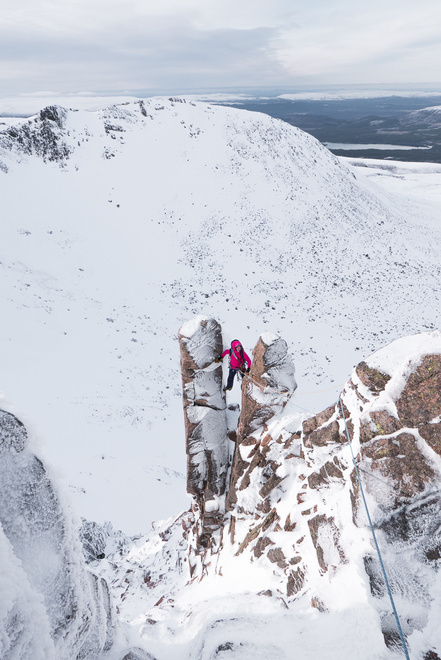 Glovers Chimney was particularly memorable as it was Becky’s first time climbing on the Ben. 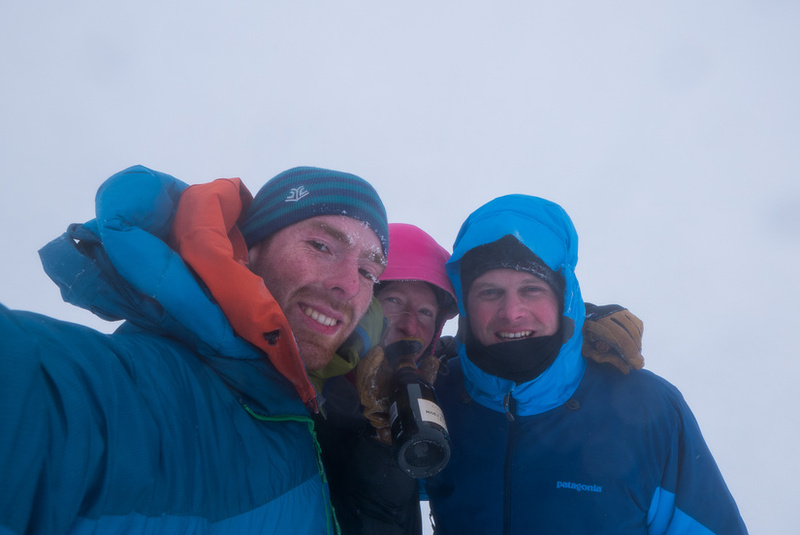 As we had meant to climb on Becky’s birthday (but turned back due to weather) I carried a bottle of Champaign to the top which was a bit of a rare treat. 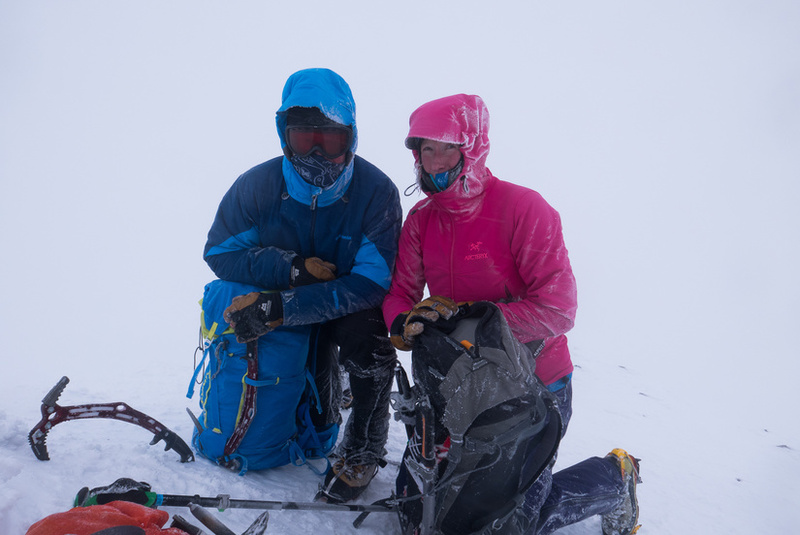 As the snow was pretty dodgy on the usual quick descents, we decided to tick another munro for Becky by descending via the CMD arête. 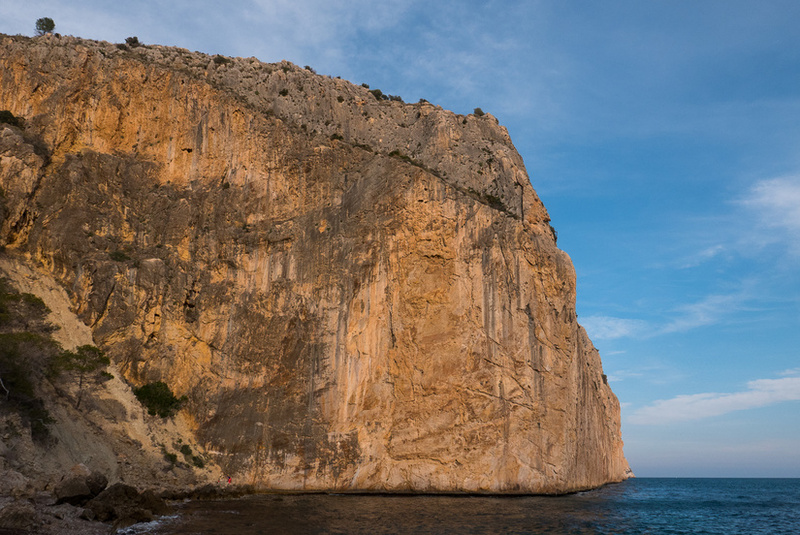 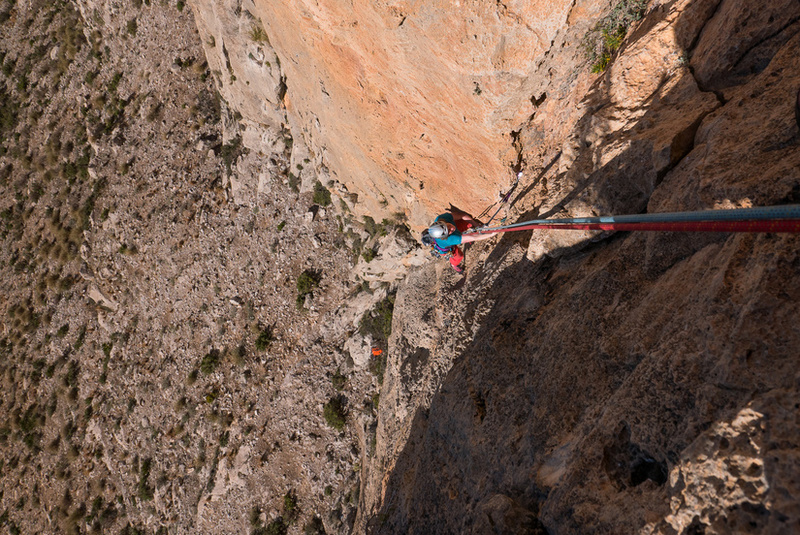 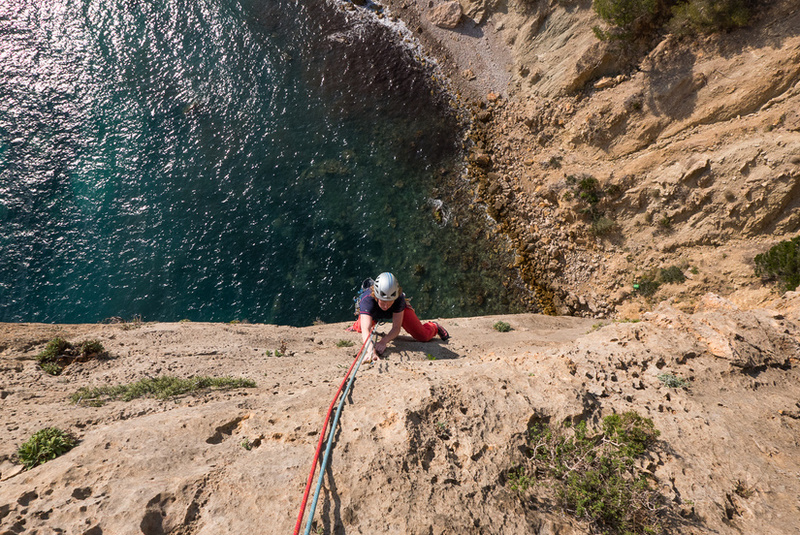 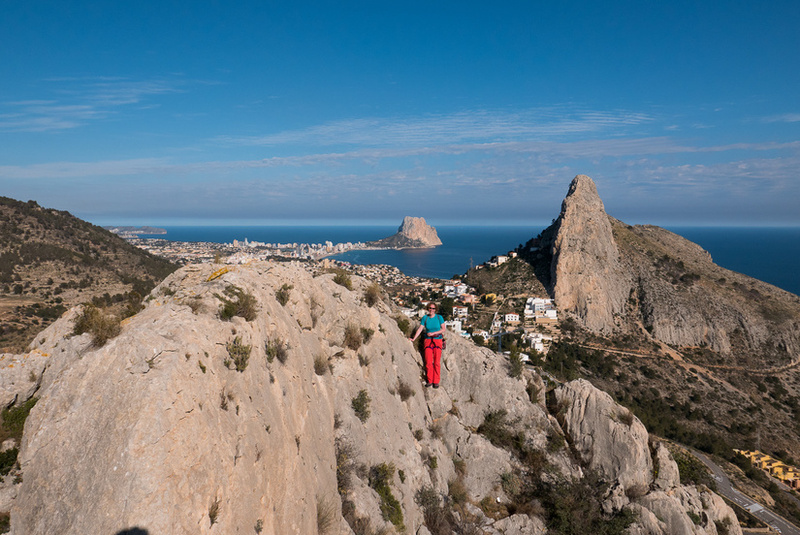 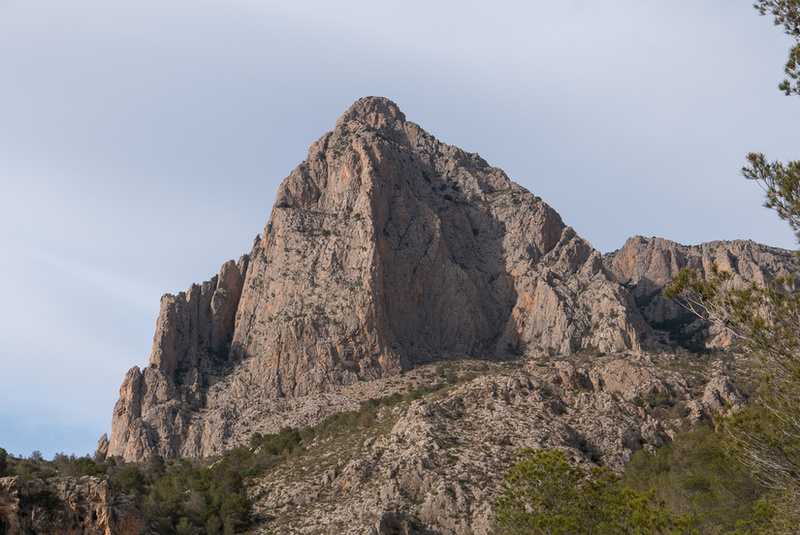 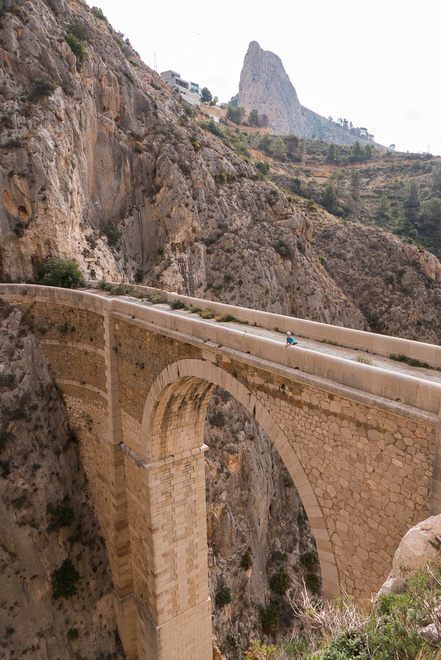 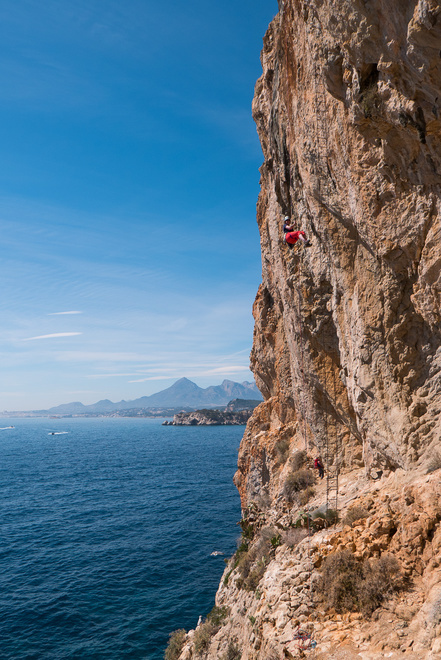 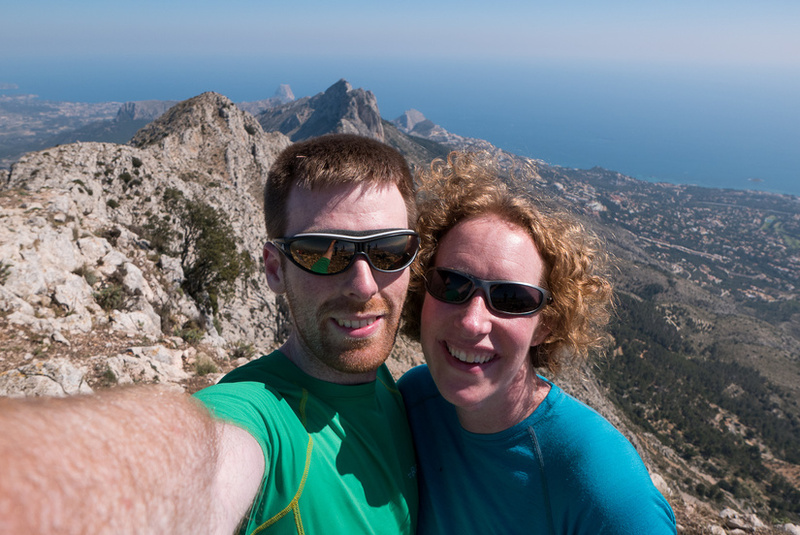 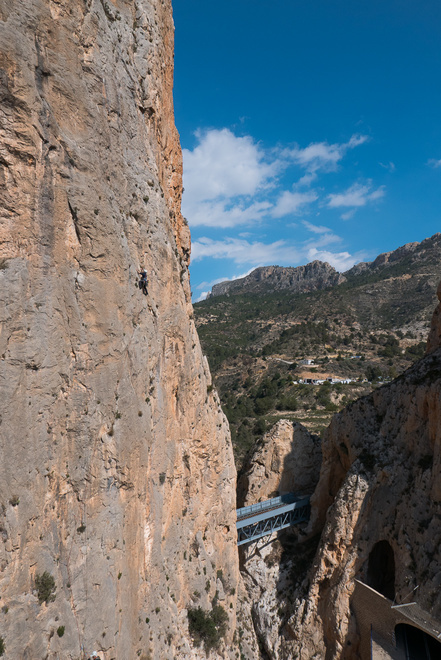 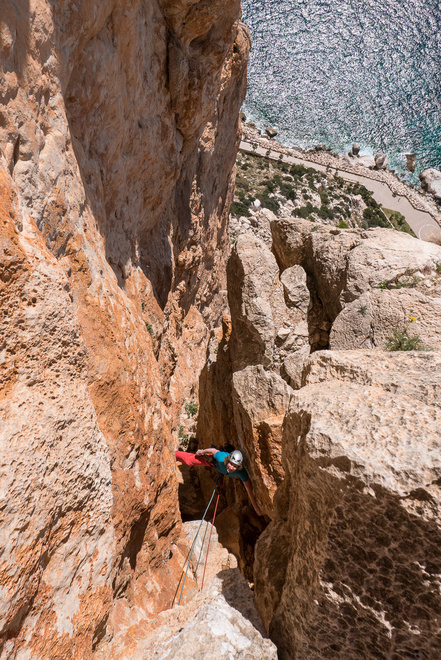 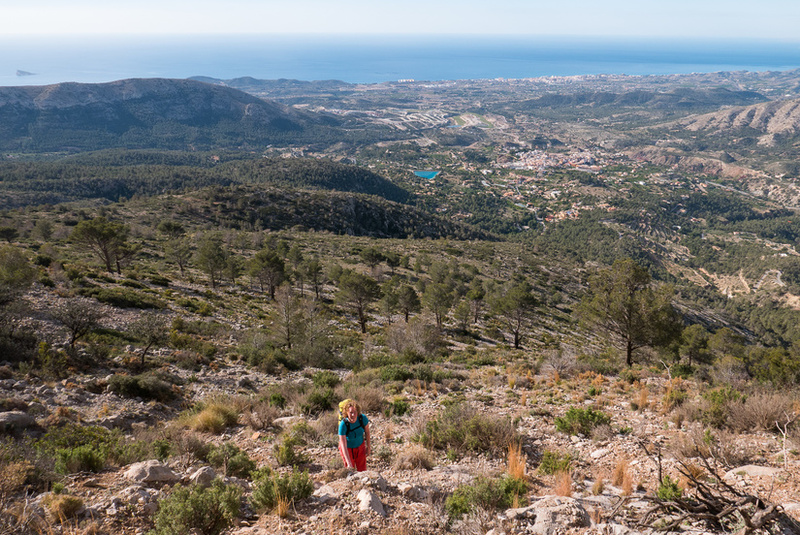 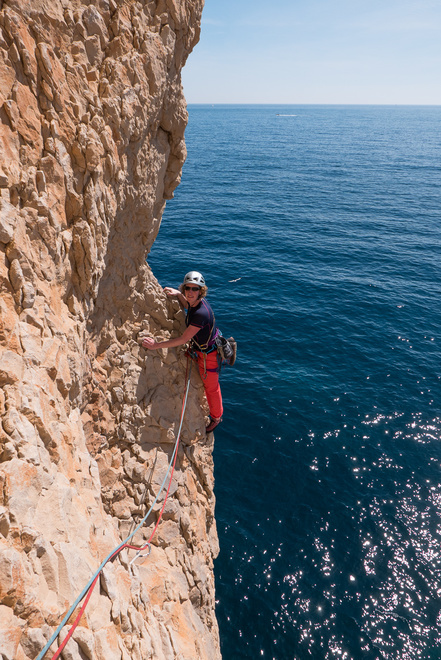 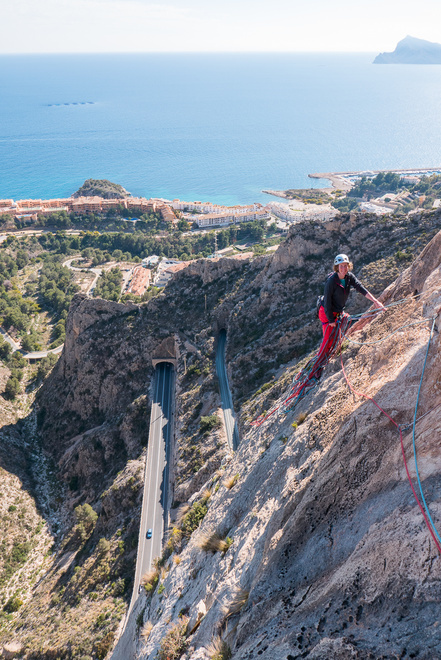 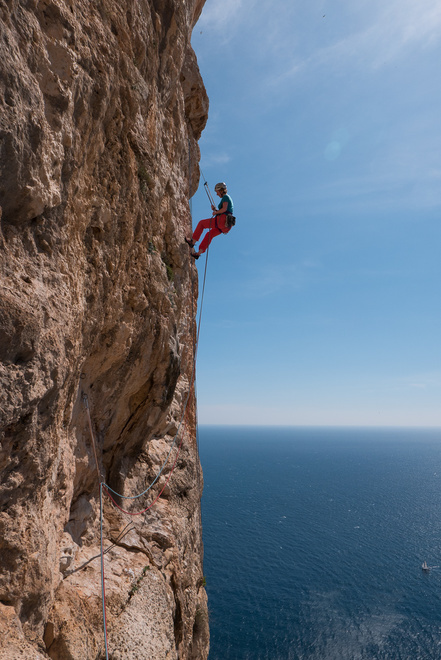 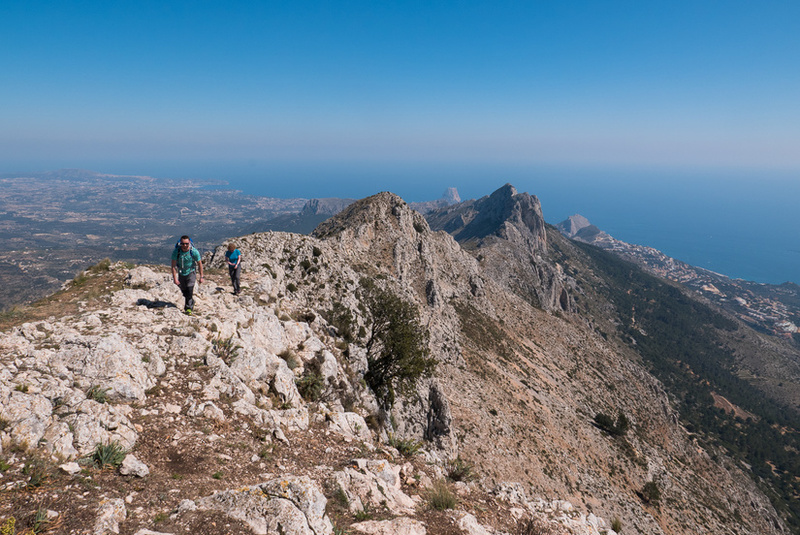 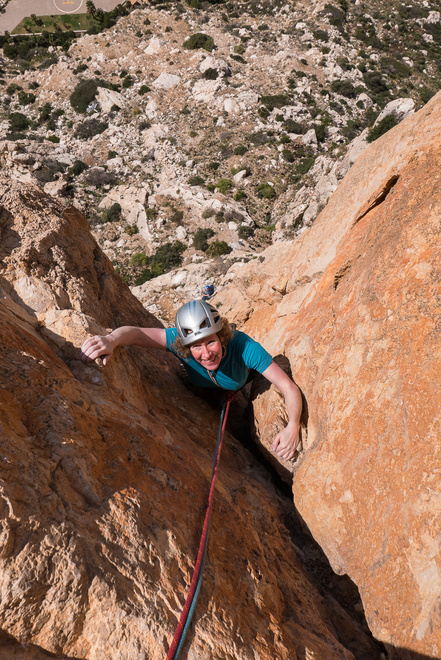 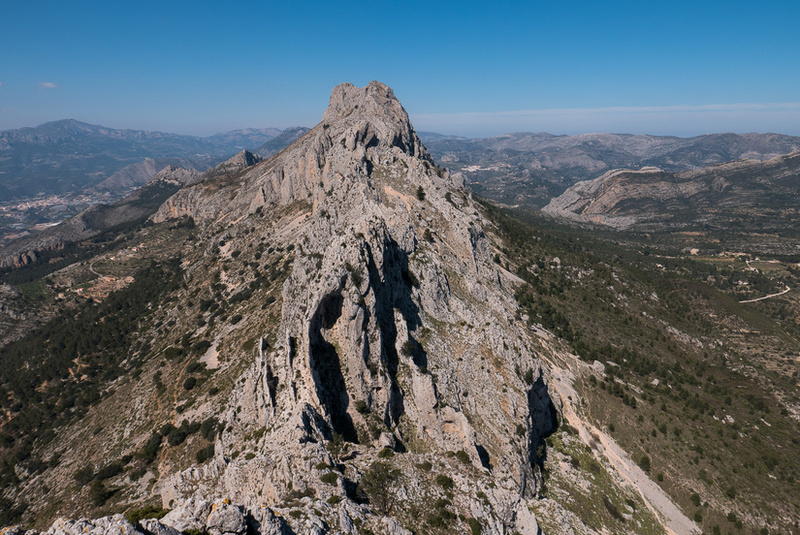 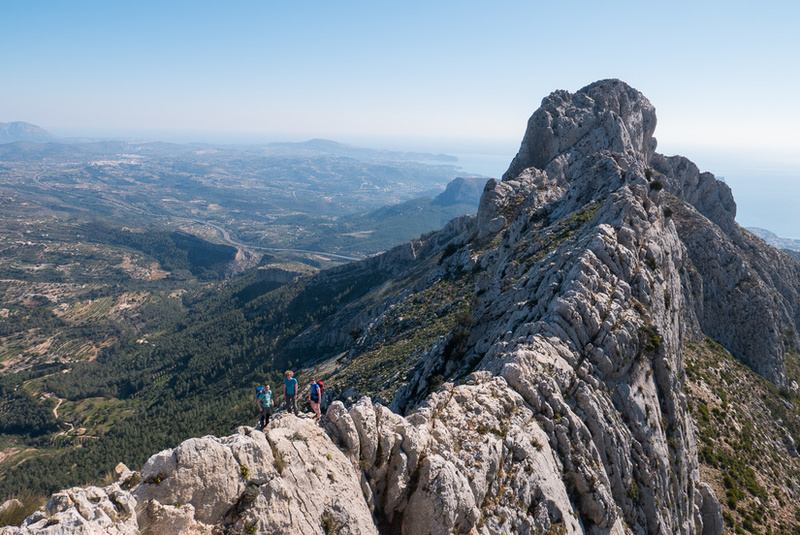 Our summer rock climbing season got off to an excellent start with a 10 day trip to the Costa Blanca over easter, which meant we only used 4 days of annual leave. 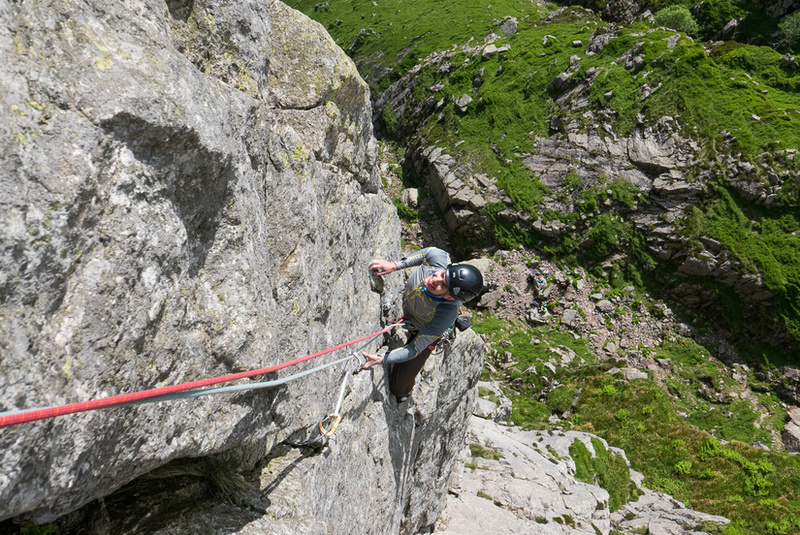 It was great to be out in the sun, with a mixture of single pitch sport, multi pitch bolted, and multi pitch trad climbing. 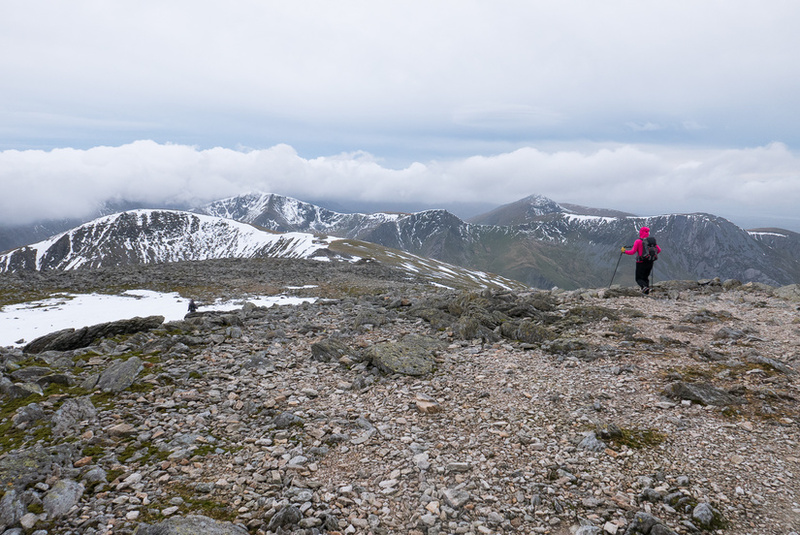 We came back to the UK inspired to start our UK trad season, but unfortunately bad weather plagued my summer trad season and it then never really got off to a start. 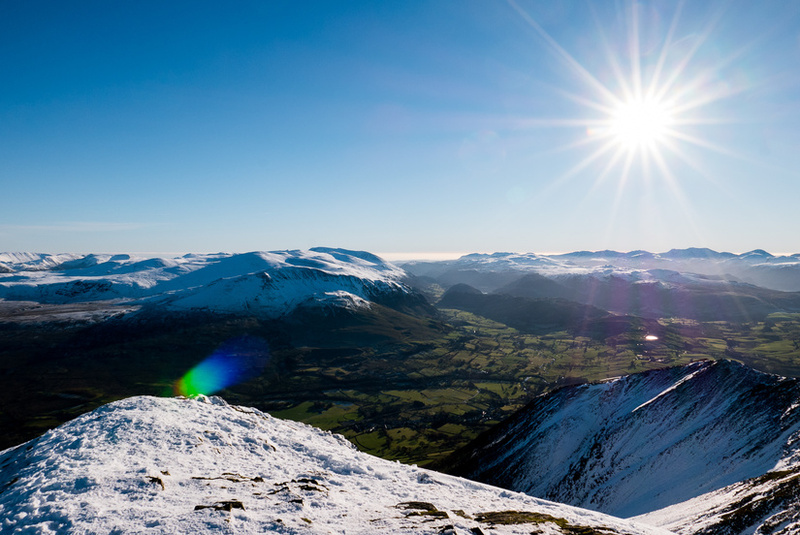 I had a few good trips away to North Wales and the Lake District, which were at least partially plagued by bad weather. 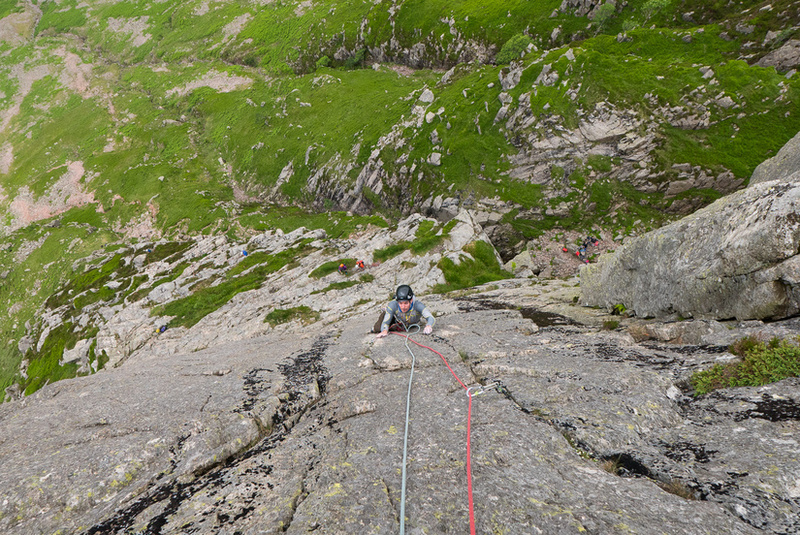 But I did get to climb on slate for the first time and enjoyed two days out on mountain rock in the Lakes. 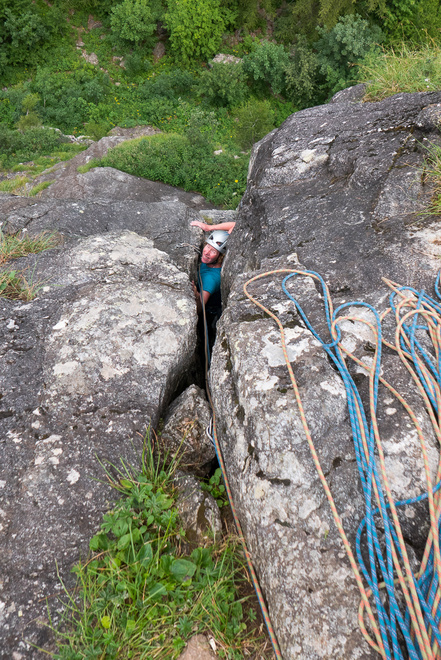 Unfortunately in June I had a bad fall while out climbing after work due to a hold snapping, due to a bad back and whiplash I had to have a bit of time off while I recovered. 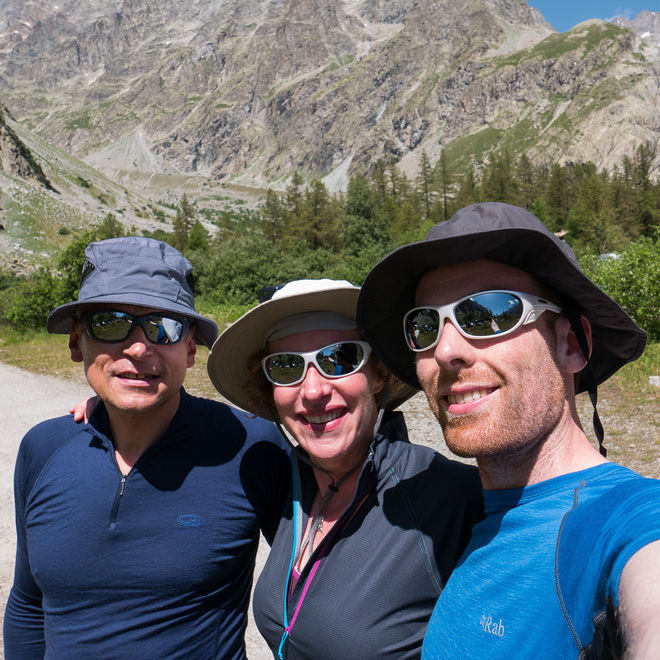 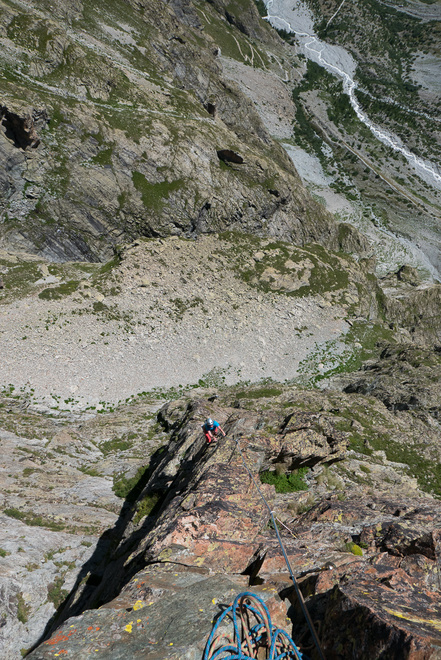 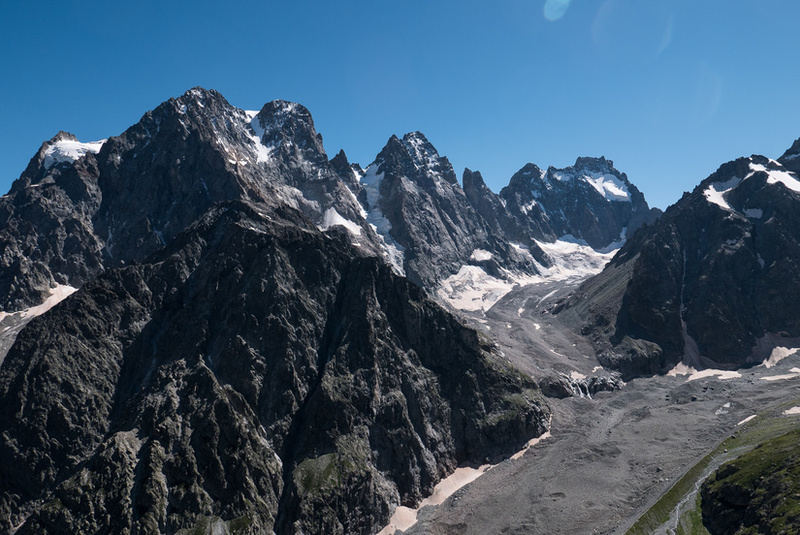 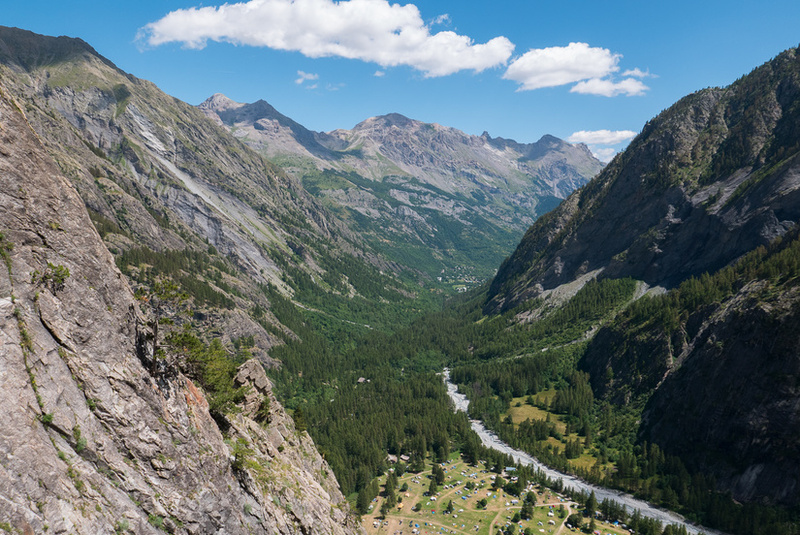 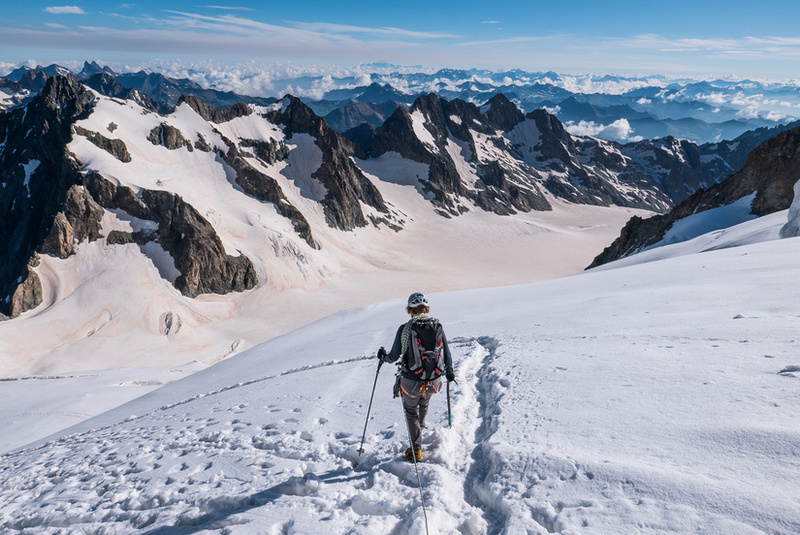 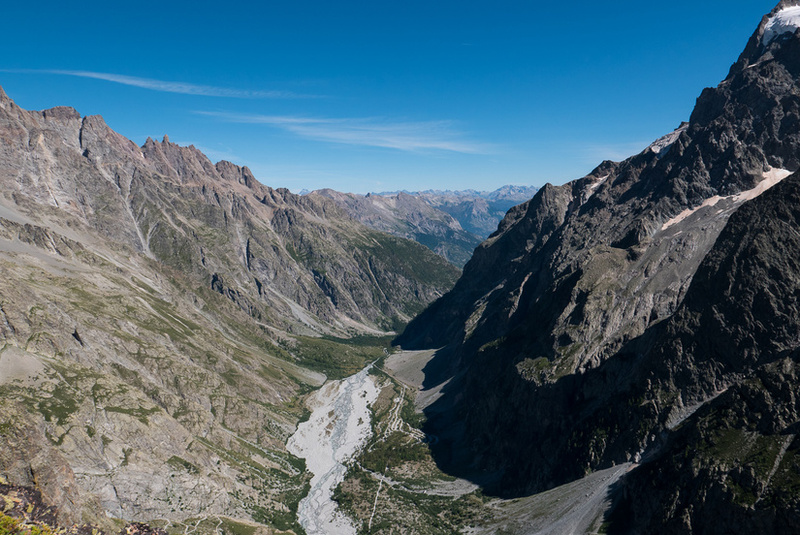 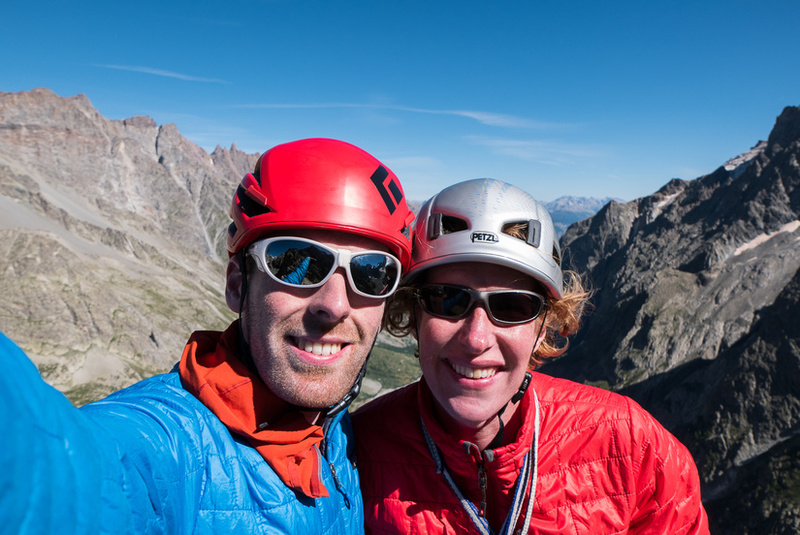 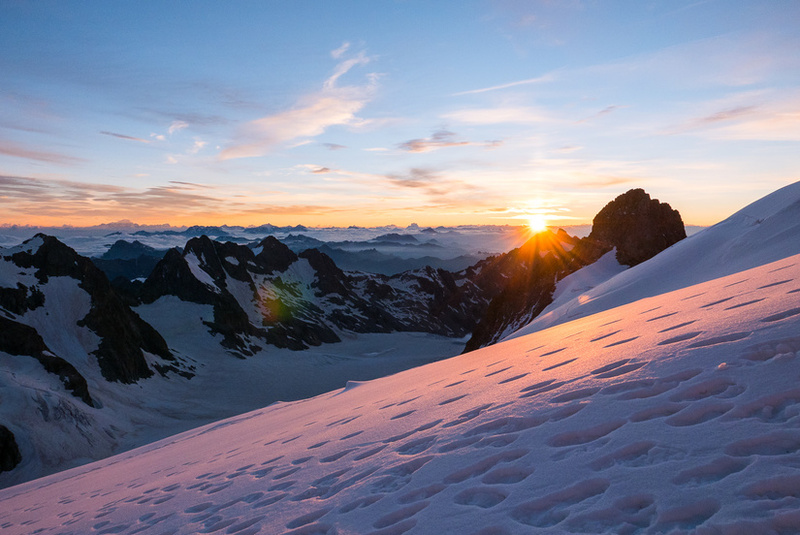 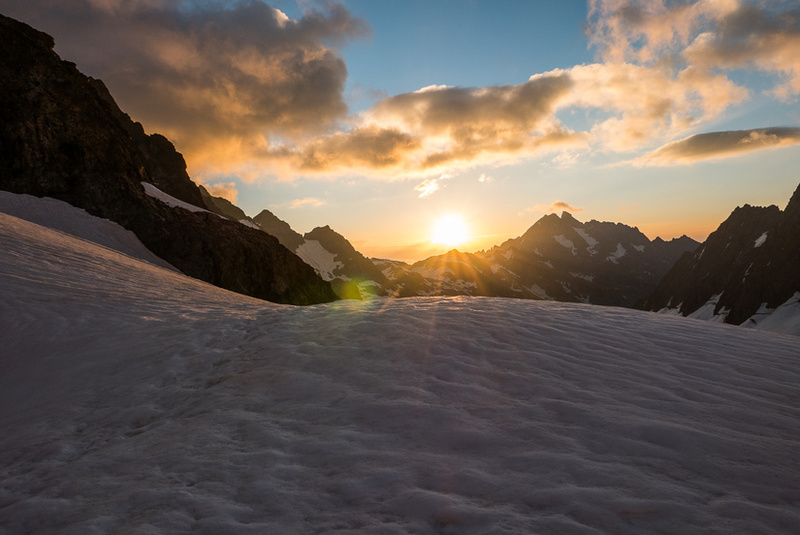 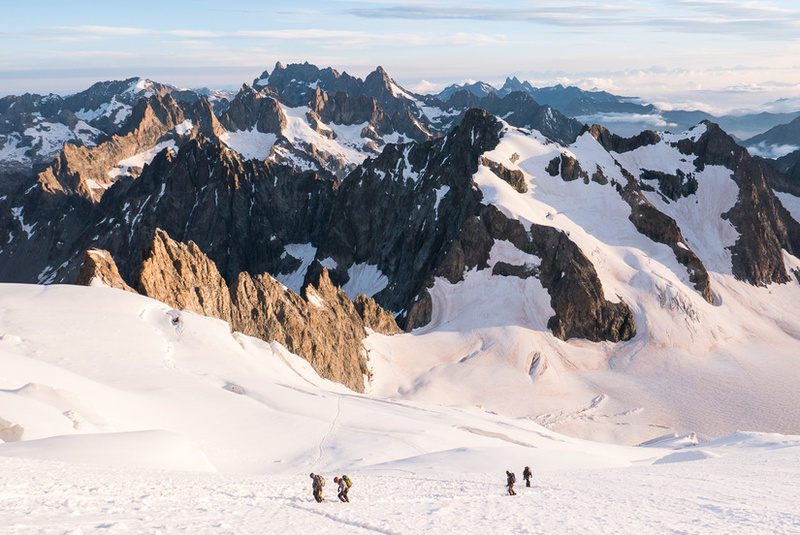 Our alps trip was a bit different this year as we headed out to the Ecrins. 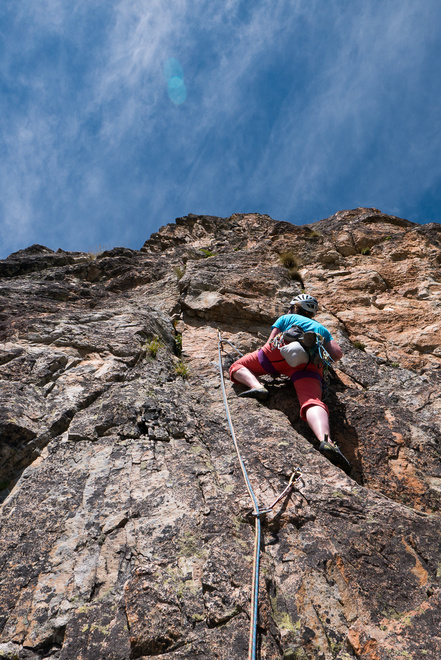 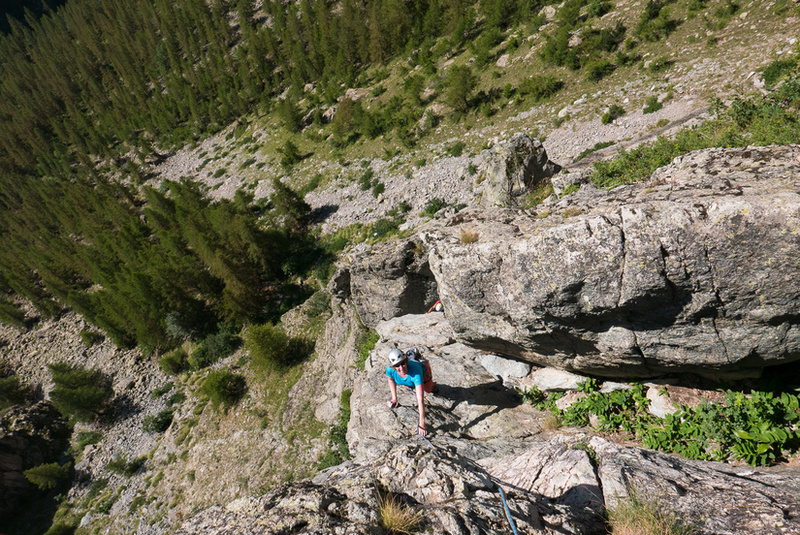 We had a few days in the high mountains, but due to Becky hurting her ankle we spent a while down in the valley enjoying the multi-pitch bolted climbing. 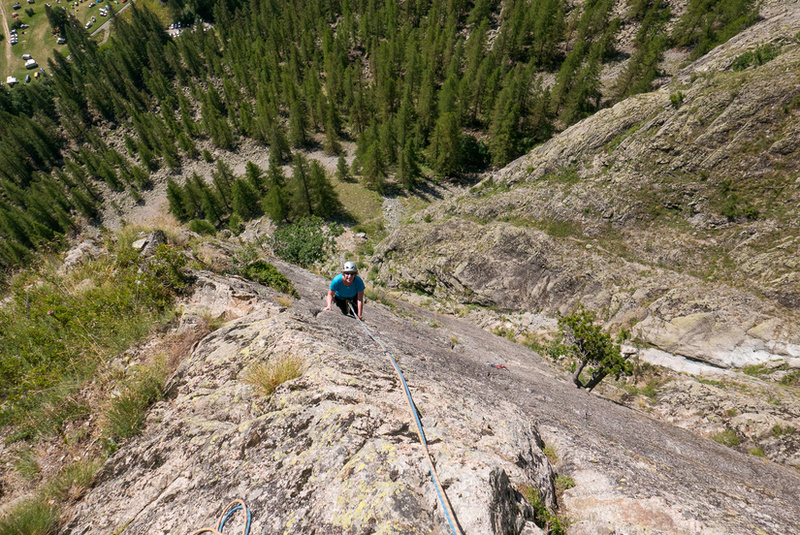 We were enjoying the good weather, sunny multi-pitch climbing and the chilled out atmosphere in the valley, as the weather forecast in the big mountains wasn’t great we decided to stay in the valley. 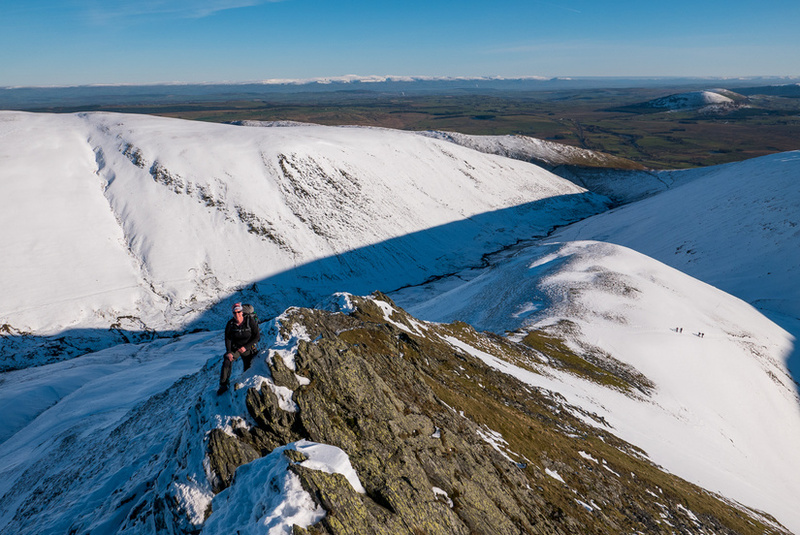 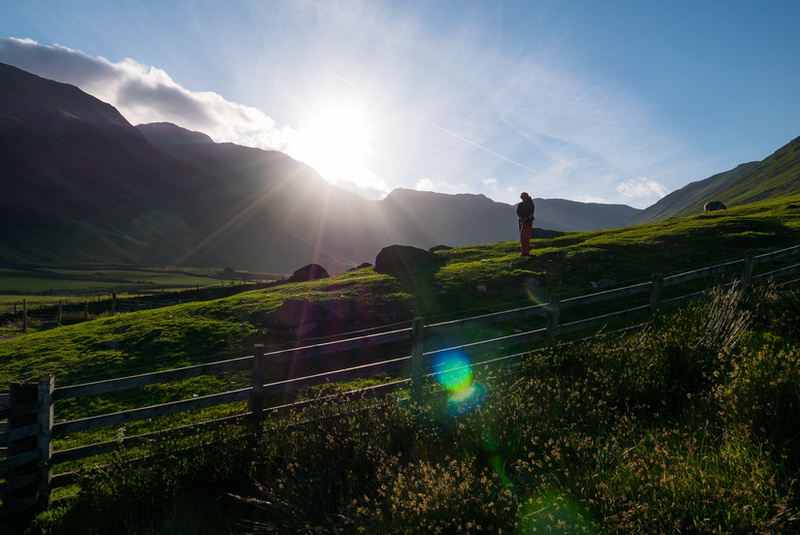 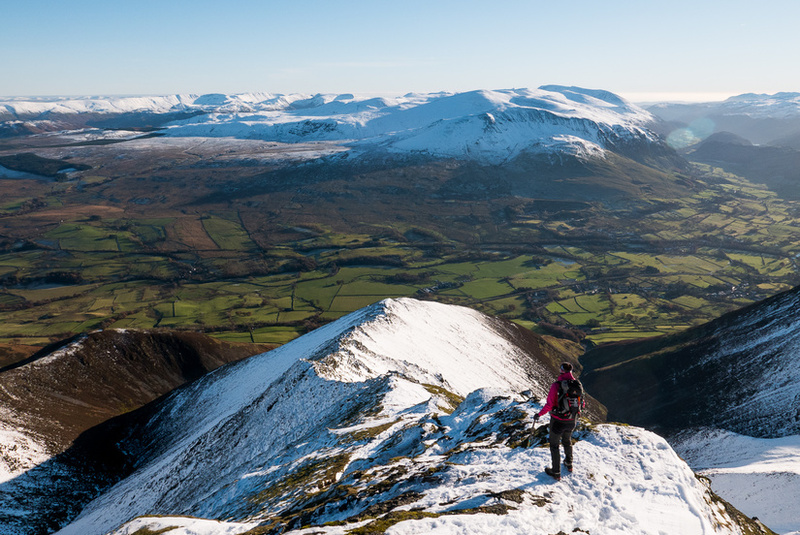 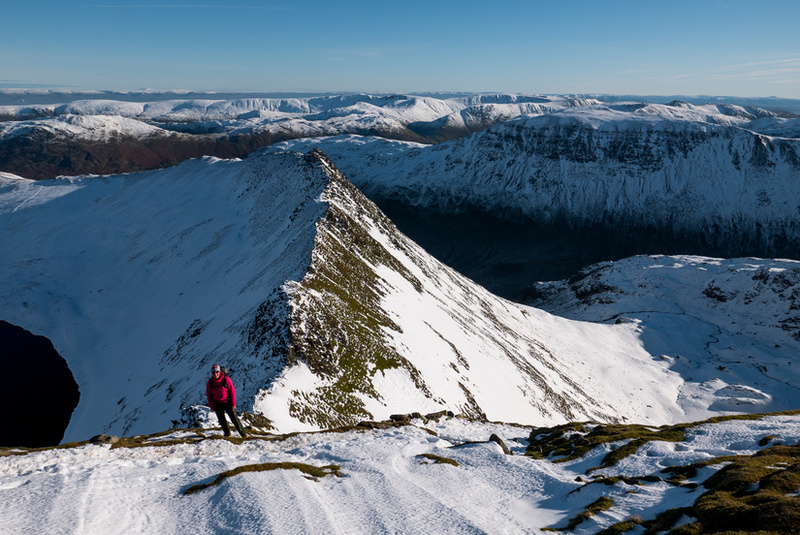 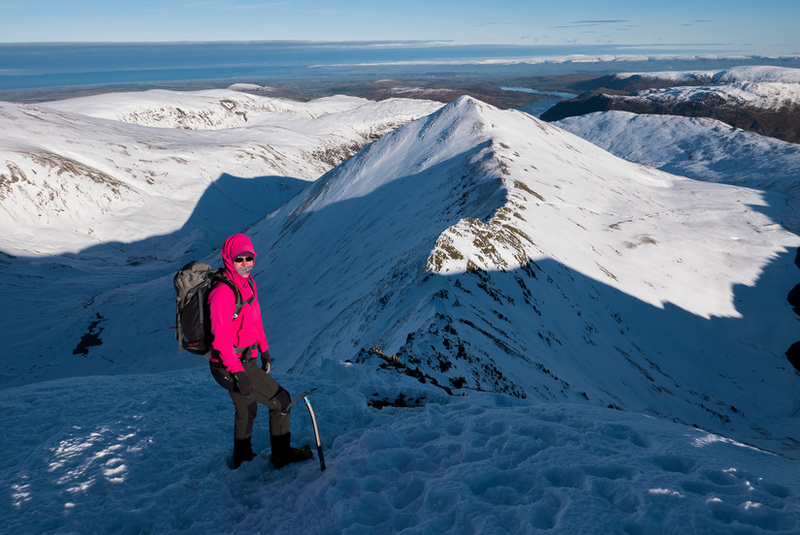 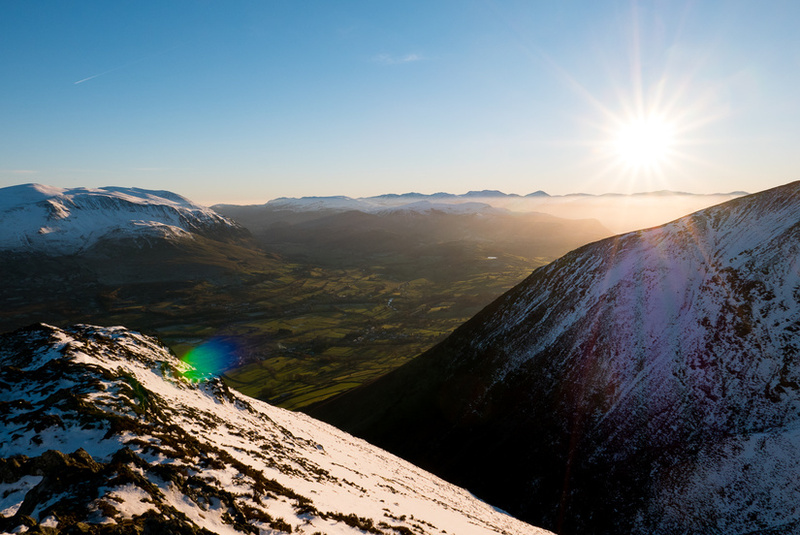 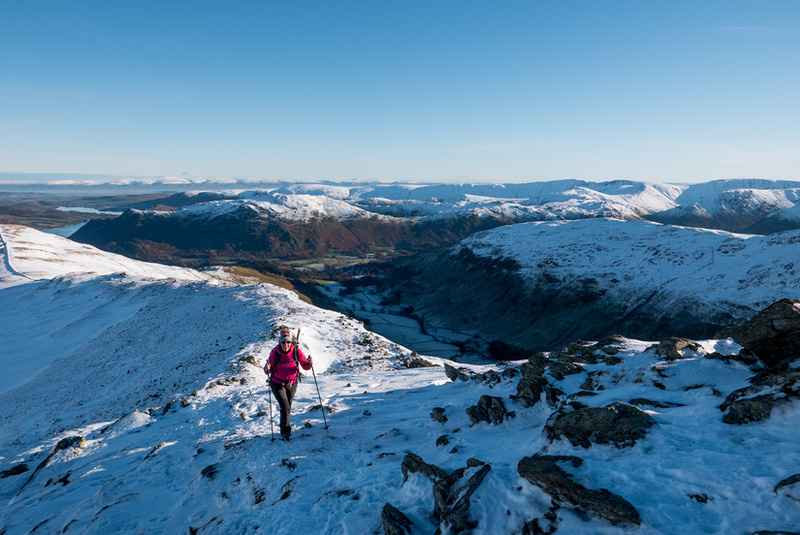 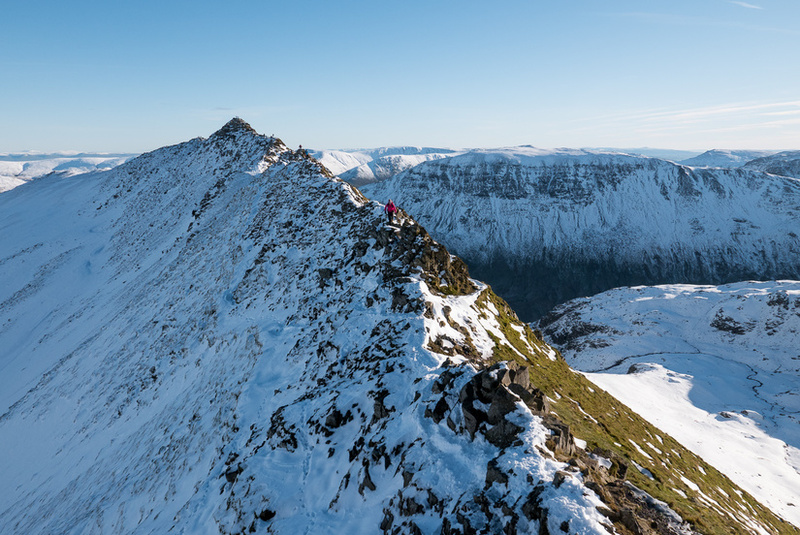 Winter got off to an excellent start, with a weekend of sunny winter conditions in the Lake District in November! 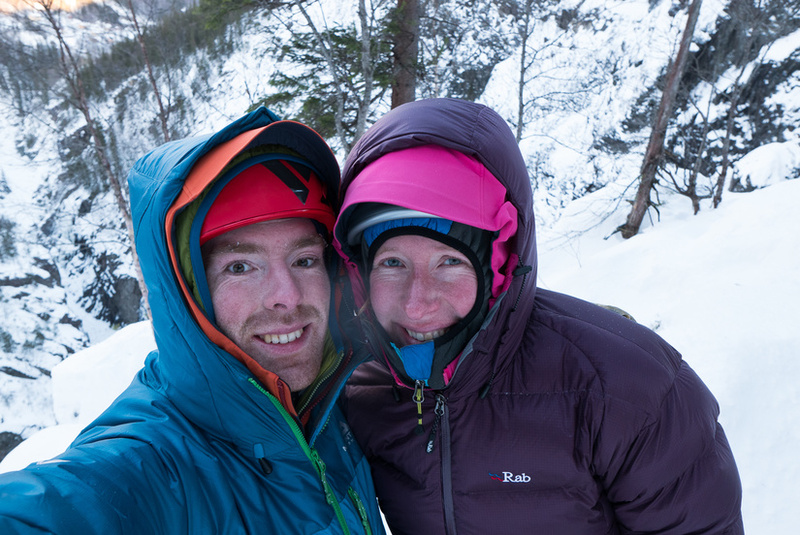 We were up in Becky’s van which was a bit chilly with the overnight temperatures dropping to -6, but the excellent conditions made it worthwhile. 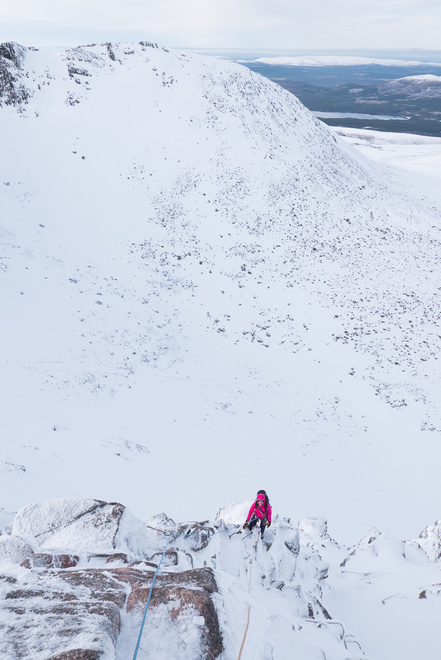 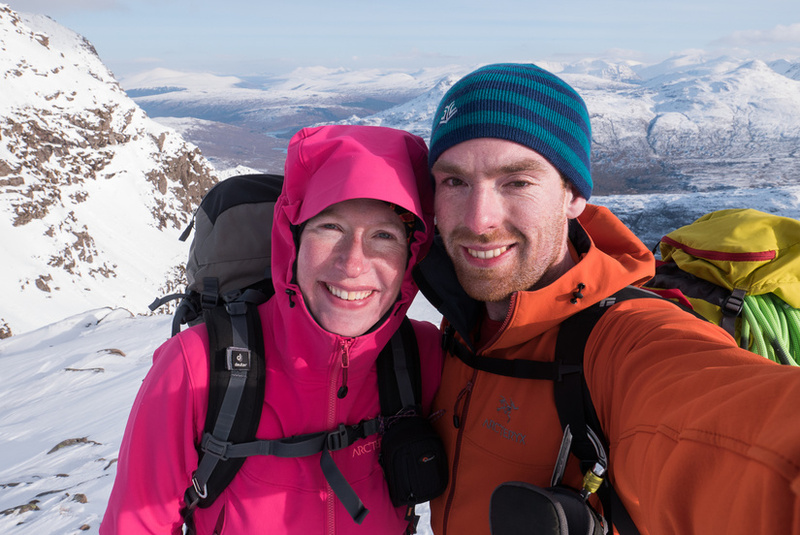 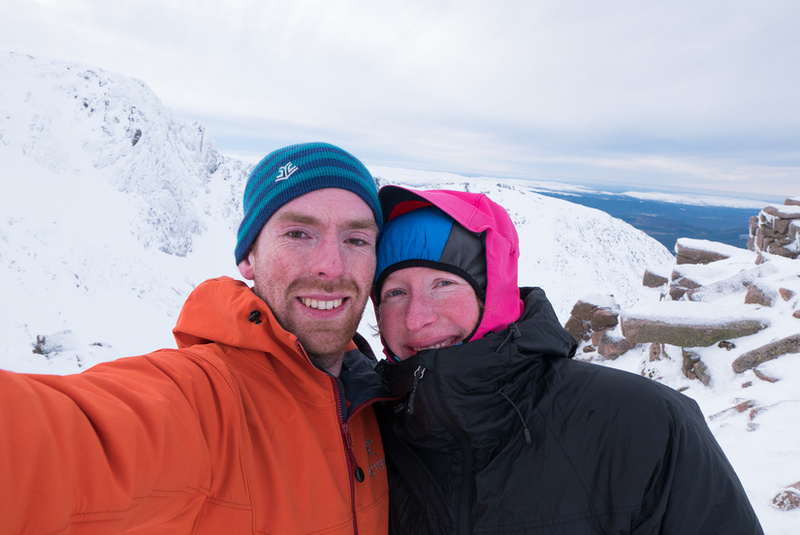 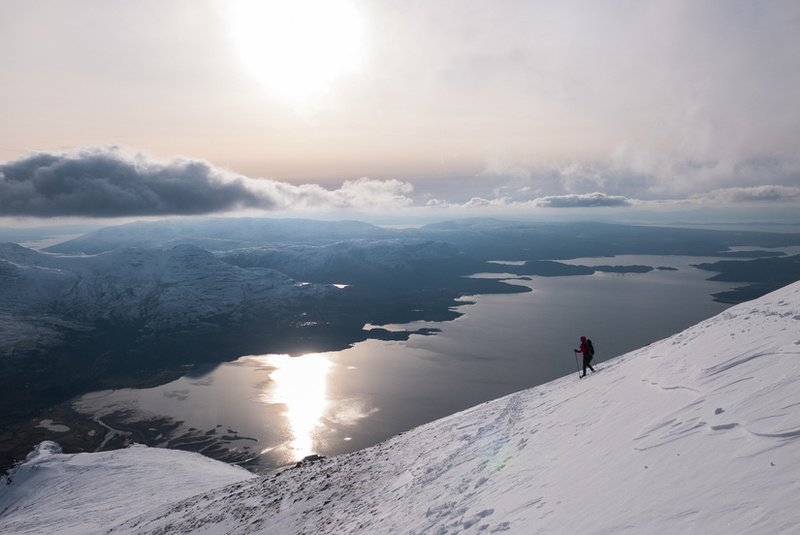 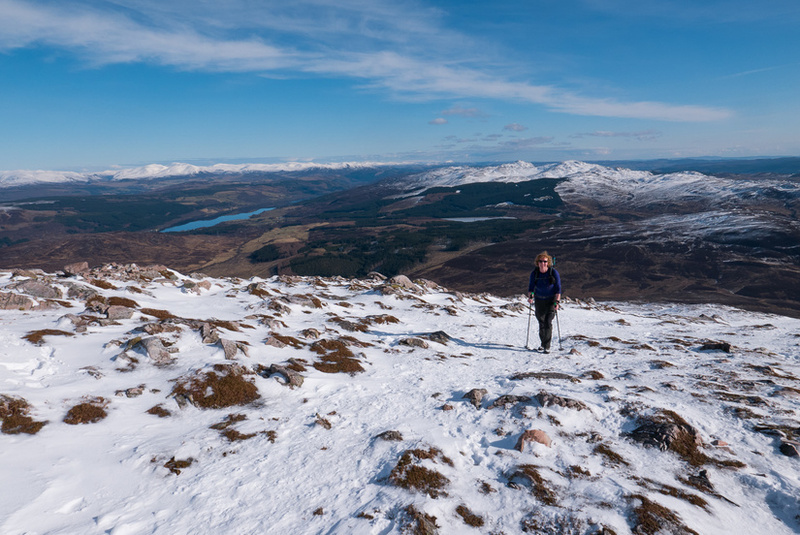 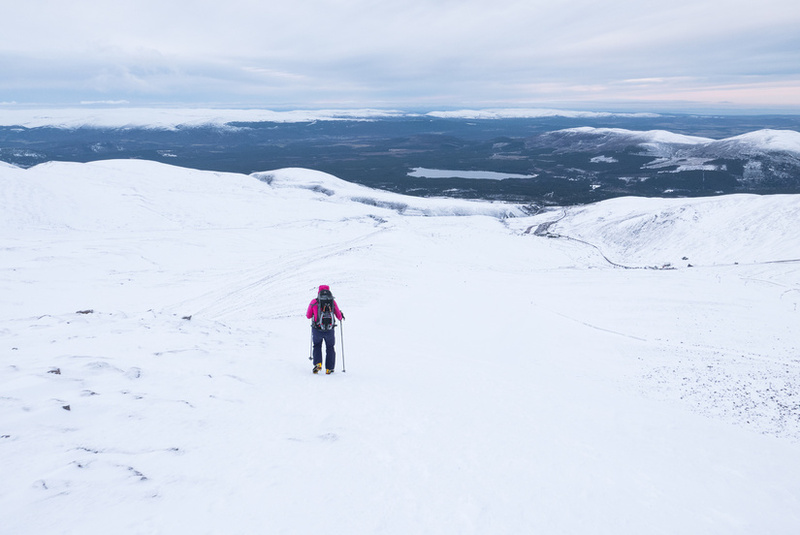 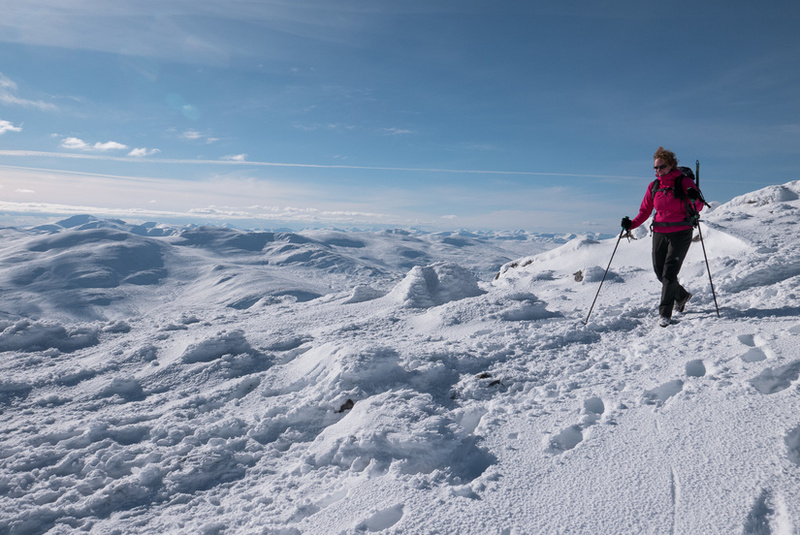 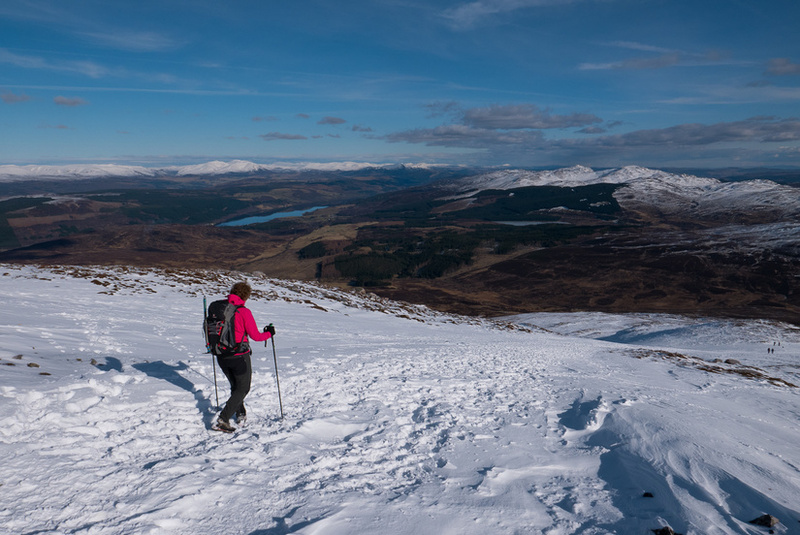 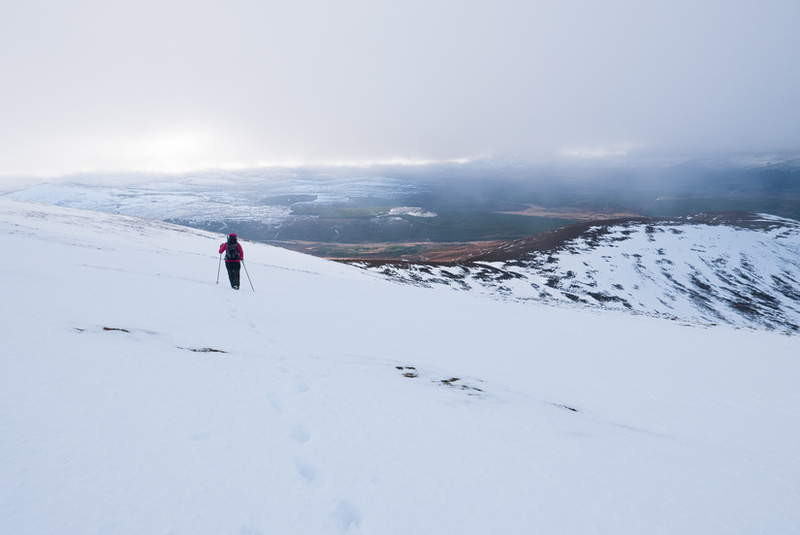 We headed up to Scotland for new year hoping to get some winter walking and climbing in early in the season, but unfortunately all of the snow had vanished so we just enjoyed a few days of walking in the cloud munro bagging instead.